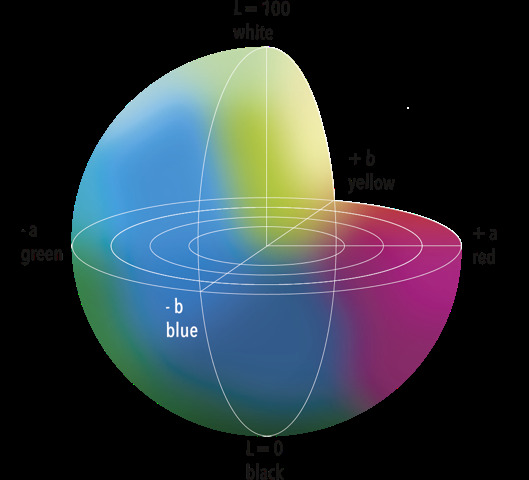 By means of light-sensitive cone cells in the retina at the eyeground the human eye classifies the received visible light into 3 ranges: RED GREEN BLUE (color raw values). A certain color is defined by the relation of the XYZ color components. In the course of time certain methods have been introduced to allow improved color descriptions. 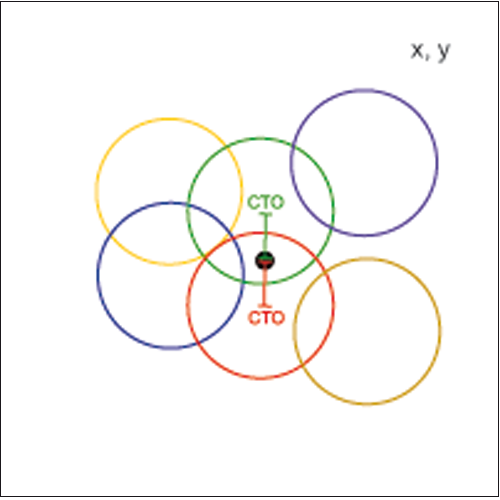 First the XYZ values were divided into components that provide information about the red content x, the green content y and about brightness Y. 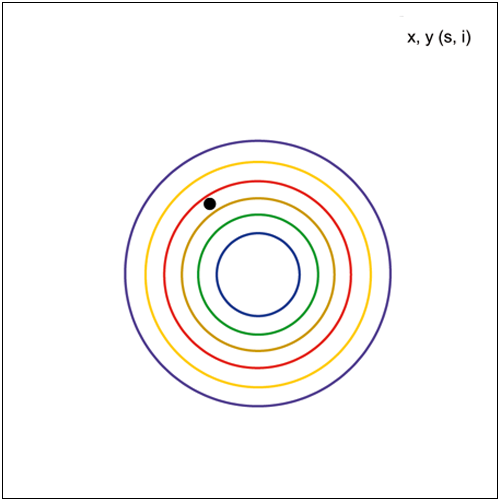 With these x, y, Y values (Yxy-CIE color system) it was possible to divide a color into the actual color shade x, y and the gray value Y. 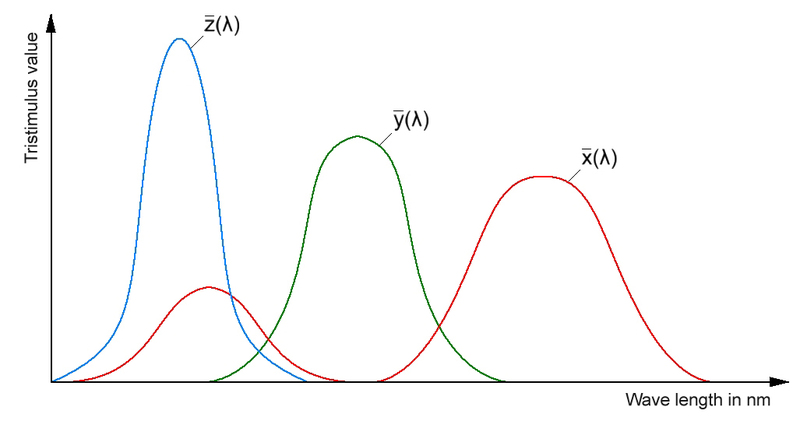 It turned out, however, that with this method a color change in Δ x, Δ y or ΔY is perceived with different intensity by the observer. 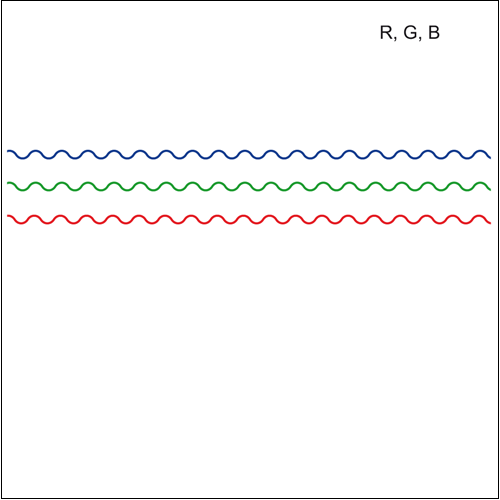 This means that for the distance in the color space there is a different Δ color value, if for example two colors in the red range and two colors in the green range that can just still be differentiated by the human eye are compared. 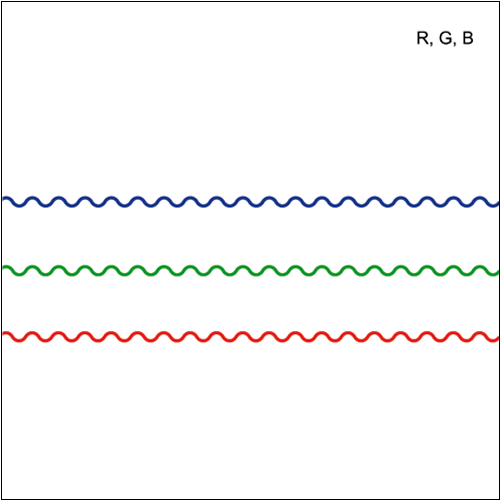 The L*a*b* color system was introduced to provide a mathematical description of a color difference that is perceived identically. A color difference of two colors (which for example each lie in the red or green range) that can only just be perceived by the human eye, under this color system now also has the same mathematically determined color distance ΔE. 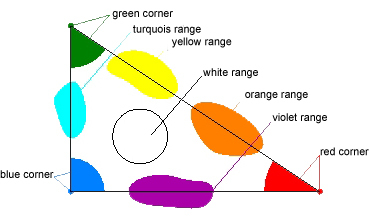 The L*a*b* color system (also referred to as CIELAB) is the most commonly used measurement system for color determination. 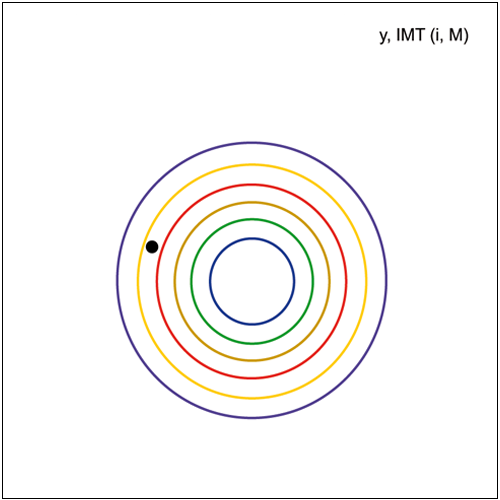 In 1976 the CIE defined this system as one of the equidistant color spaces in order to solve the main problem of the Yxy color system: Identical distances of two color shades in the Y, x, y color space do not result in perceptually identical color differences. 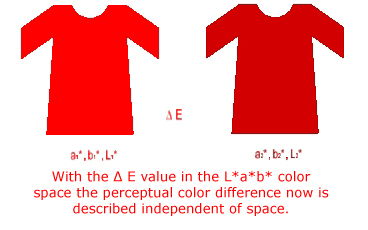 The color space of the L*a*b* system is defined by the brightness L* and by the color coordinates a* and b*. 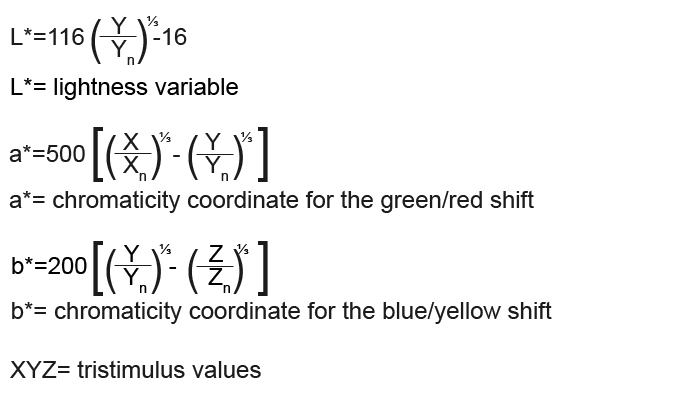 The a* value is used to define a RED/GREEN shift (-a* → direction GREEN, +a* → direction RED), the b* value defines a BLUE/YELLOW shift (-b* → direction BLUE, +b* → direction YELLOW). 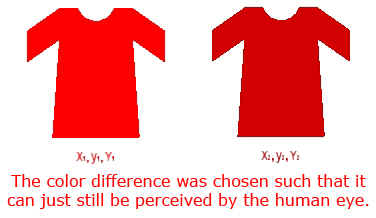 The spectral perception of the human eye depends on the viewing angle and thus also on the size of the object. 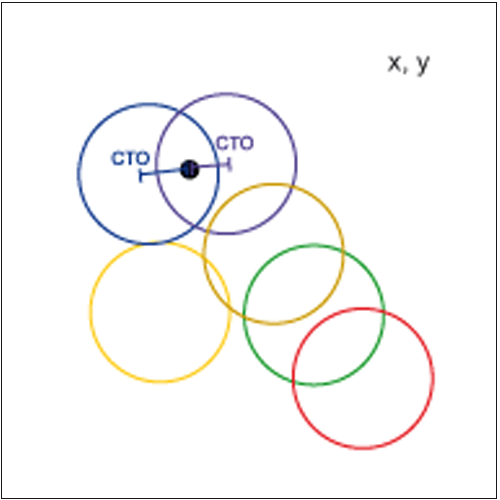 In 1931 the CIE determined a spectral value function with the help of visual (human) color assessments of small objects in a 2° field of view. 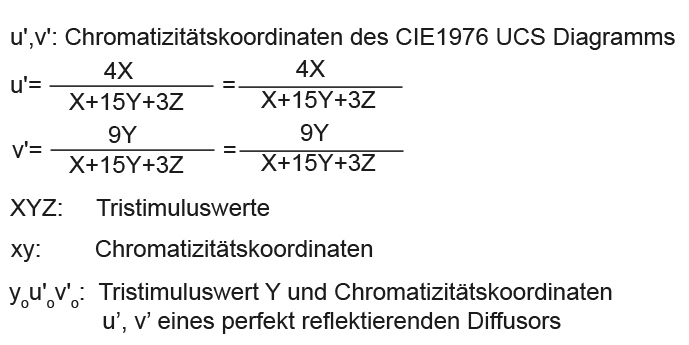 In 1964 the CIE established another standard with a 10° field of view. 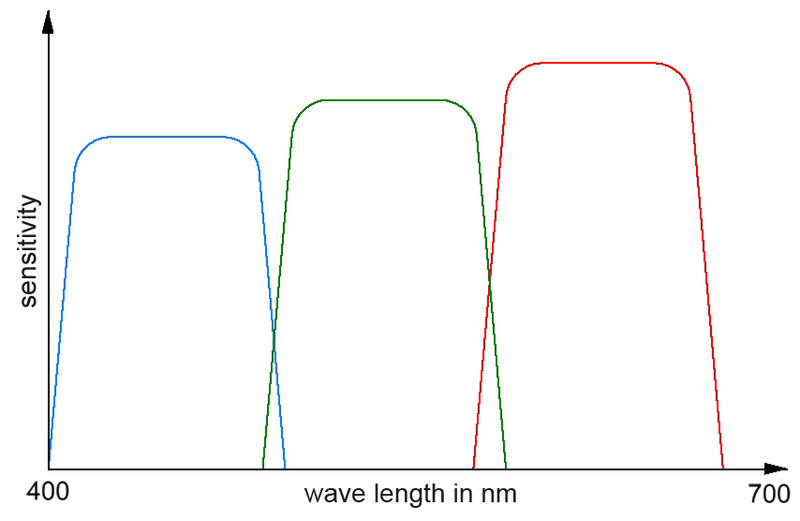 These curves (standard spectral value function) define the magnitude of the color stimulus as a function of the wavelength. 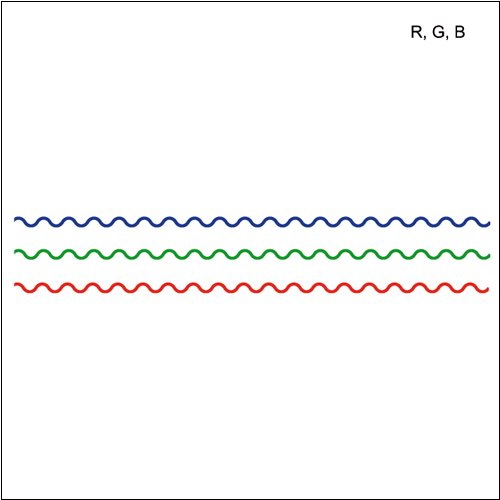 The three independent curves in the RED, GREEN, BLUE range represent the spectral sensitivity of the human eye for the 2° and 10° standard observer. 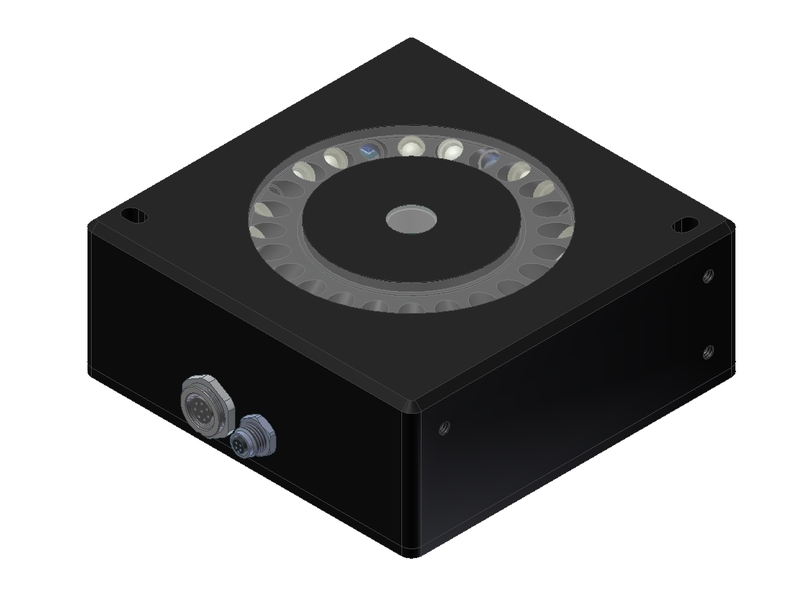 Since the light source that is used has an influence on the color impression, the CIE defined the spectral light distribution for the most important light sources for color measurement purposes. 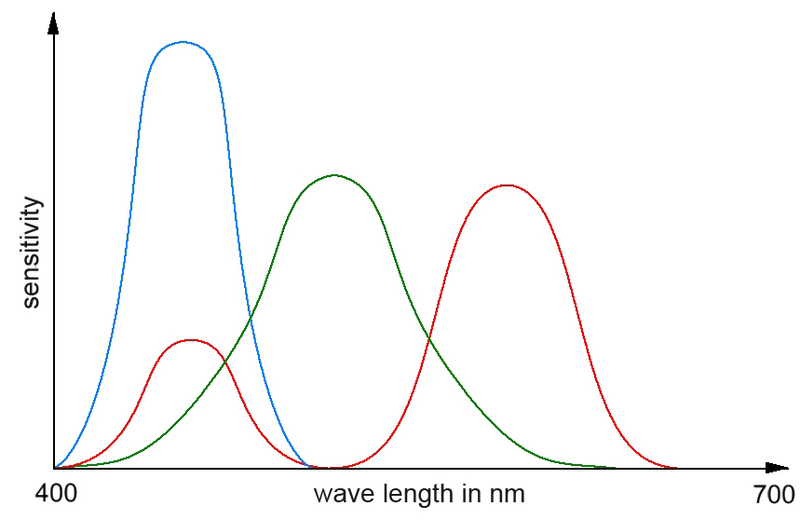 The spectra of the different standard illuminants show extreme differences! Standard illuminant D65 represents average daylight with a color temperature of 6504K and is thus suitable for the measurement of objects under daylight conditions (including UV range). Standard illuminant C represents average daylight with a color temperature of 6774K and is thus suitable for the measurement of objects under daylight conditions in the visible spectrum (without UV range). Standard illuminant A represents the light of an incandescent bulb with a color temperature of 2856 K and is thus suitable for the color measurement of objects under artificial incandescent lamp illumination. When the temperature of an object rises, the spectrum of the thermal radiation also shifts towards shorter wavelengths (for example the color of a filament changes from red to orange to white when the electric power increases). 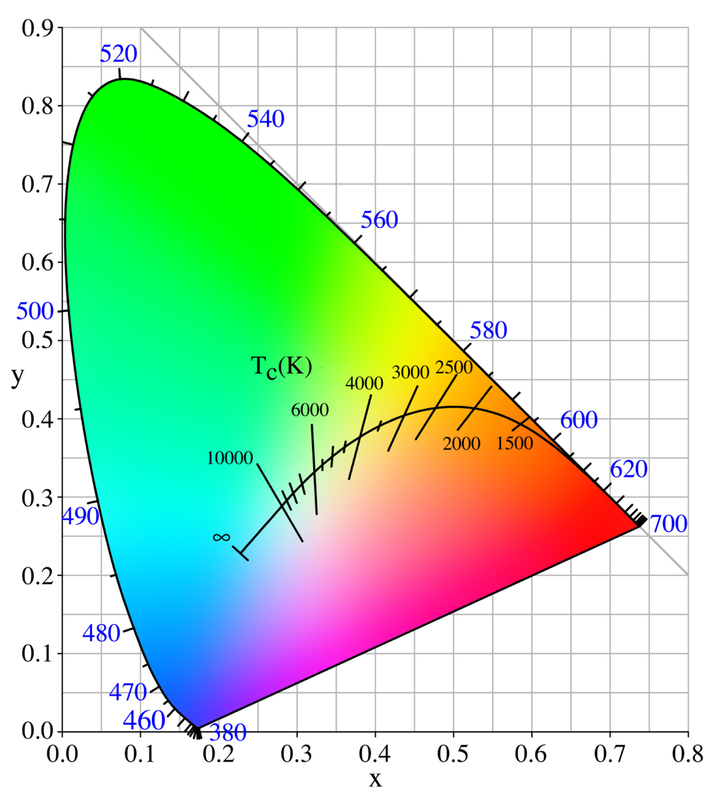 The absolute temperature of the object is referred to as the color temperature. 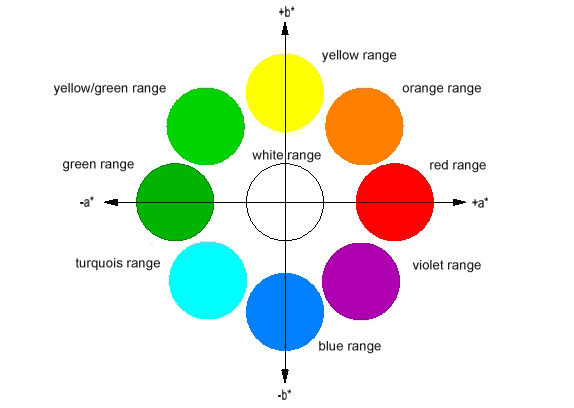 XY chromaticity of the black body (a black body is a physical hypothetical body that absorbs all energy and transmit it as radiation in a way, that it’s temperature is related to the color of the emitted light). 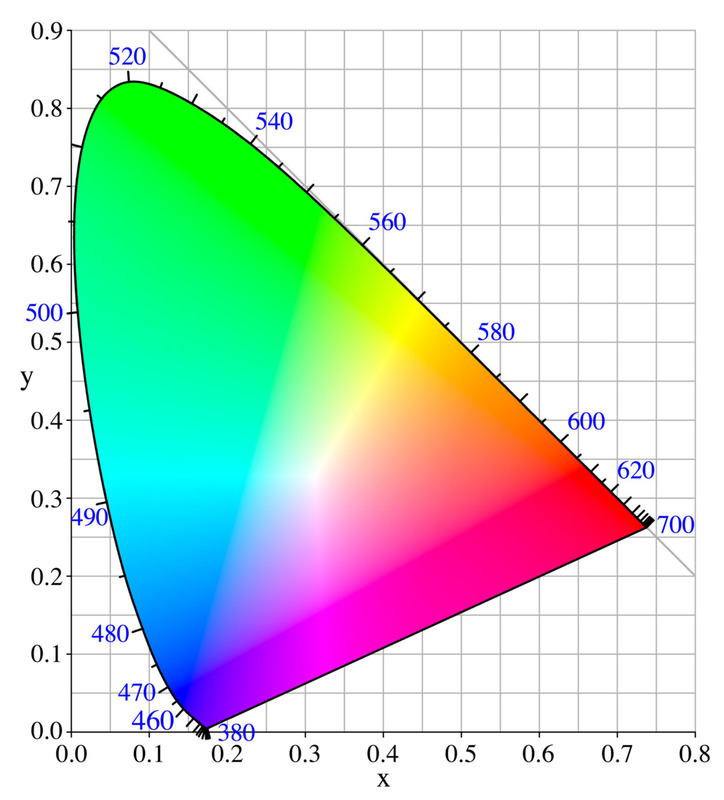 The L*u*v* color space is the recommended method for determining the color value of light sources (e.g. 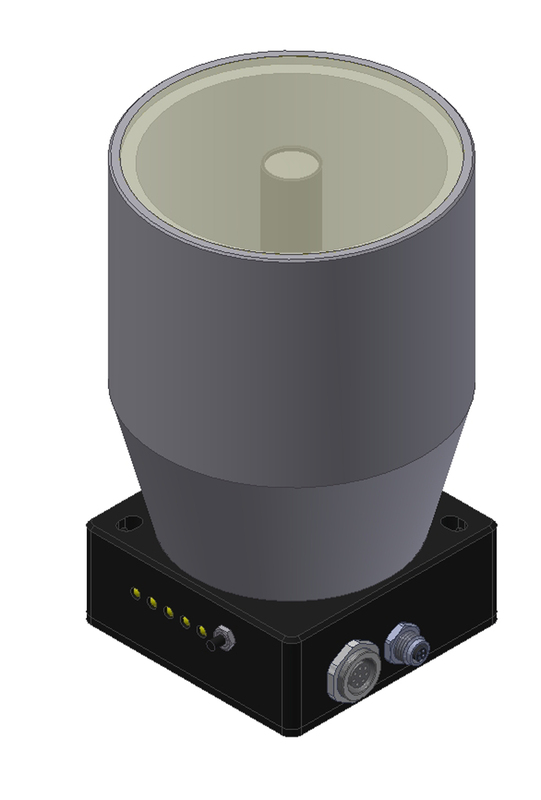 LEDs, LCD displays, light bulbs, halogen lamps, fluorescent tubes, flames). 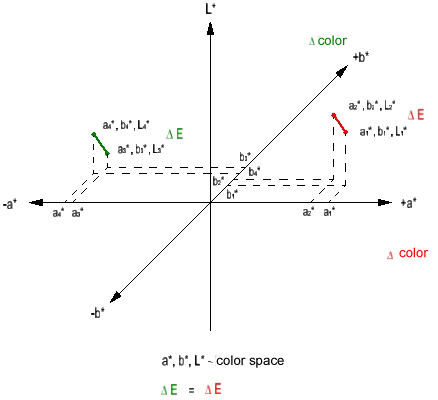 The L*u*v* color system (also referred to as CIELUV color system) represents a perceptually uniform color space (defined in 1976 by the CIE). 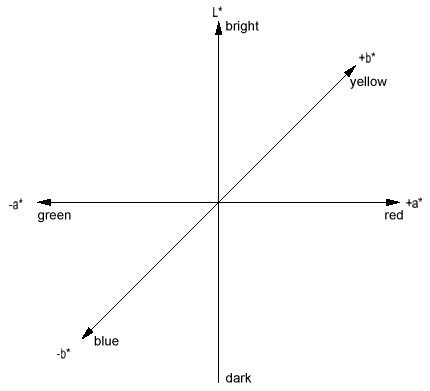 L* provides information about the brightness of an object (a higher L* value means a brighter object), u* indicates a red, green shift (direction -u*: GREEN, direction +u*: RED), and v* indicates a yellow, blue shift (direction -v*: BLUE, direction +v*: YELLOW). 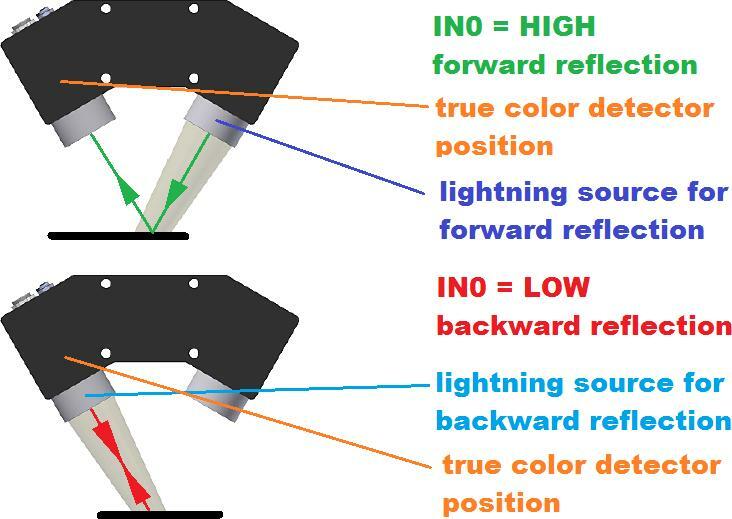 Since the color of an object depends on the observation conditions (illumination angle and observing angle) these parameters have to be correspondingly specified. 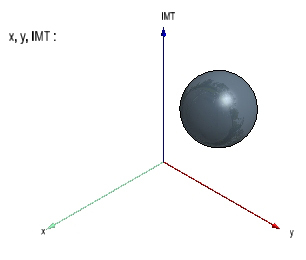 The measurement geometry includes the angle (angle range) at which the object is illuminated, and the angle at which the object is observed. 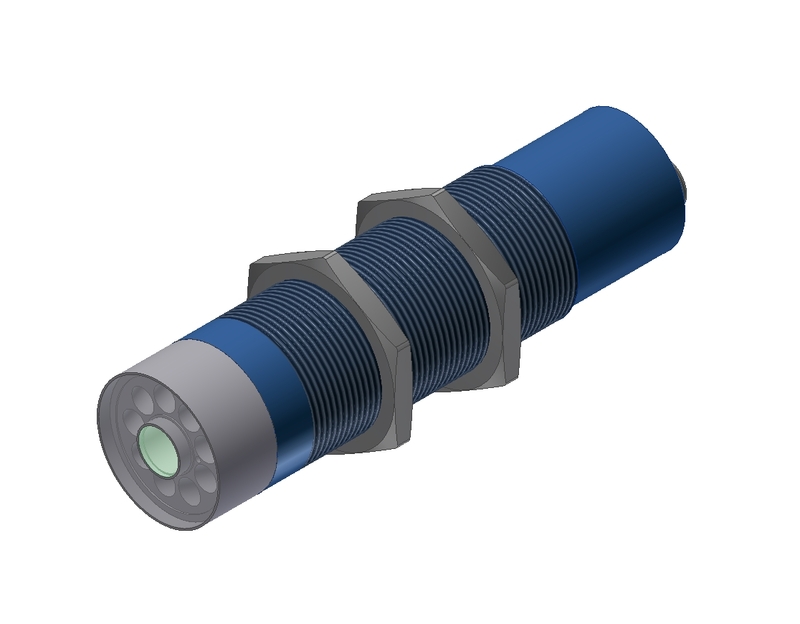 In this case the object is illuminated with focused light. 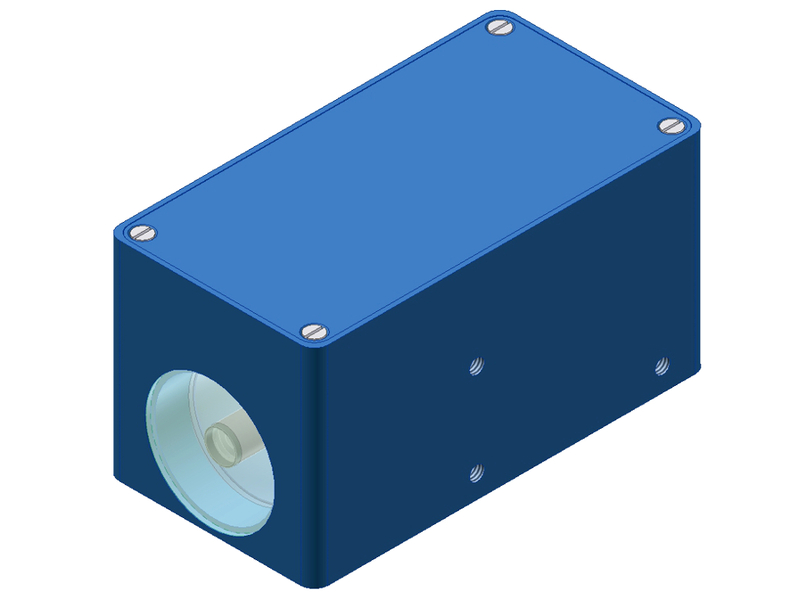 A 45/0 geometry means that the object is illuminated at an angle of 45° ± 2° from the object normal, and the light that is diffusely reflected from the object is received by the color detector at an angle of 0° ± 10° from the object normal. 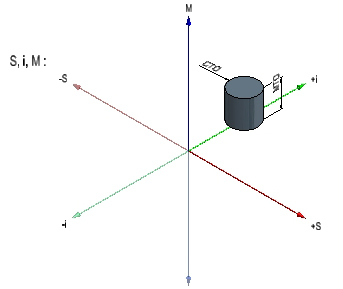 A 0/45 geometry means that the object is illuminated at an angle of 0° ± 10° from the object normal, and the light that is diffusely reflected from the object is received by the color detector at an angle of 45° ± 2° from the object normal. 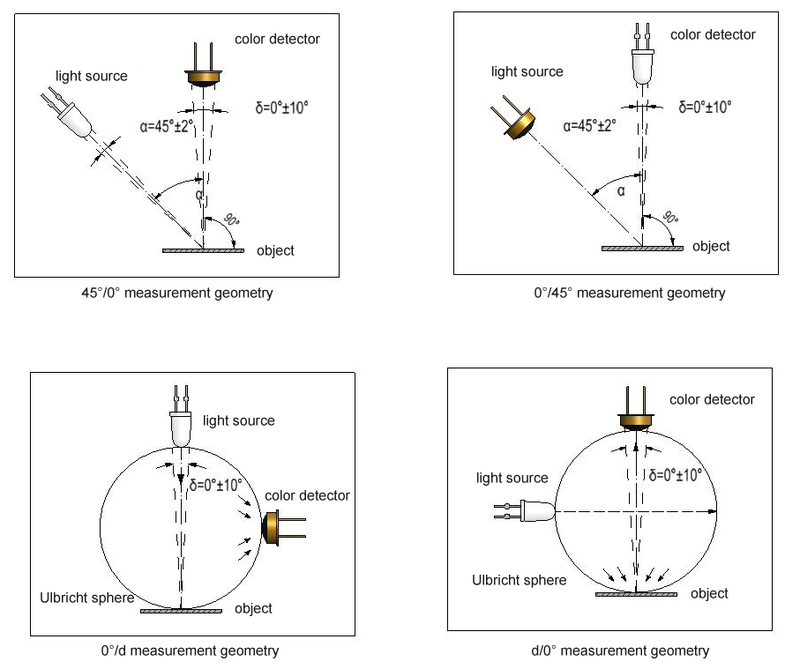 This method uses an Ulbricht sphere for the homogeneous illumination and observation of an object quasi from all directions in space (an Ulbricht sphere is a hollow sphere, the inside of which is coated with dull white paint, which ensures a homogeneous diffuse light distribution). 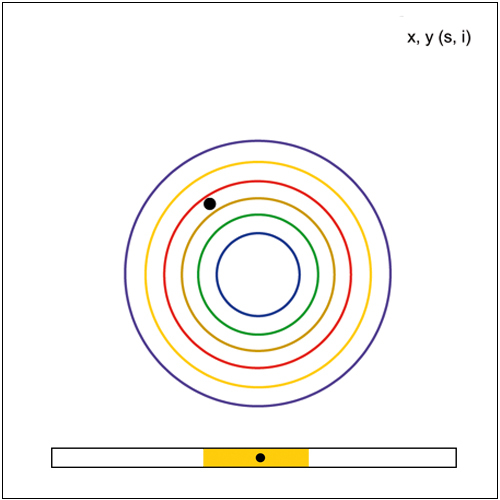 A measuring device using the d/0 geometry thus illuminates the object homogeneously and diffusely and receives the light that is diffusely reflected from the object at an angle of 0°, whereas a device using the 0/d geometry illuminates the object at an angle of 0° and receives the light that is reflected from the object from almost the complete half space. 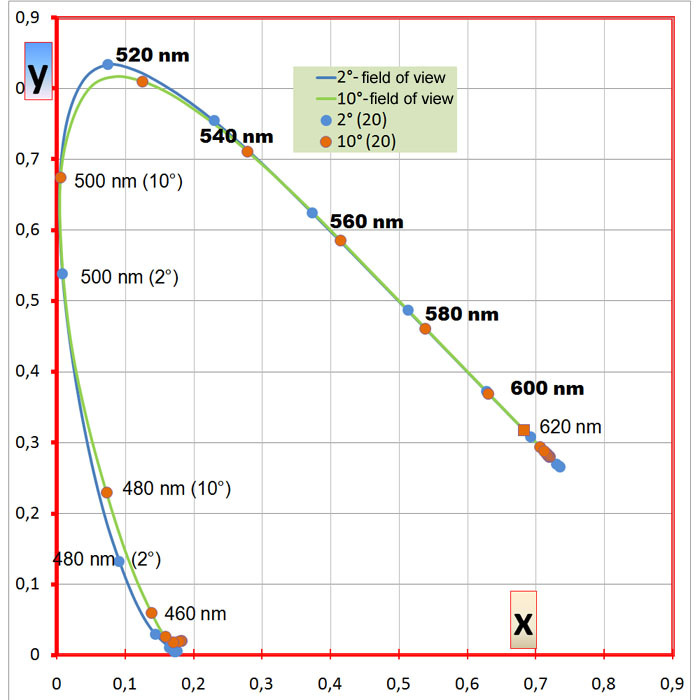 In addition to corresponding color detection that is based on eye sensitivity curves (spectral value functions, 2° observer CIE 1931, 10° observer CIE 1964) and a corresponding standard illuminant light source, color measurement also involves a corresponding arrangement of detector, light sources, and object. Color measuring systems use the so-called 45/0 geometry, which means that the light source is positioned at an angle of 45° from the object normal, while the receiver is positioned at an angle of 0° with respect to the object normal (vertical to the object!). 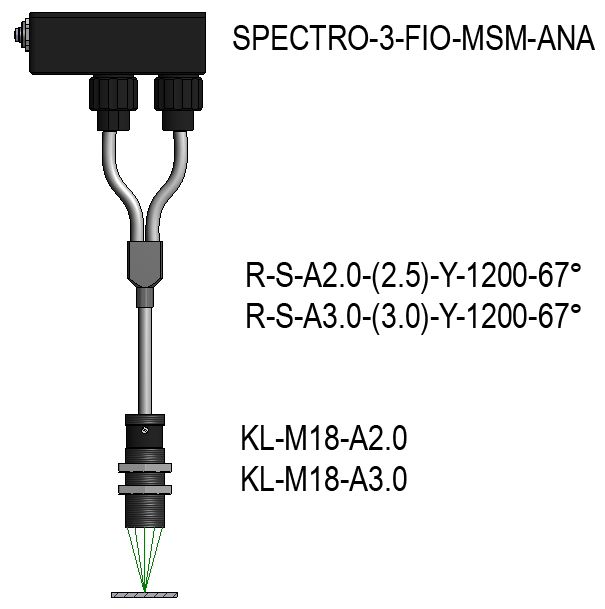 The color measuring systems of the SPECTRO-MSM series, including the SPECTRO-3-28-45°/0°-MSM-ANA and the SPECTRO-3-20-DIF-MSM-ANA, are INLINE measurement systems that also can be used under rough industrial conditions. 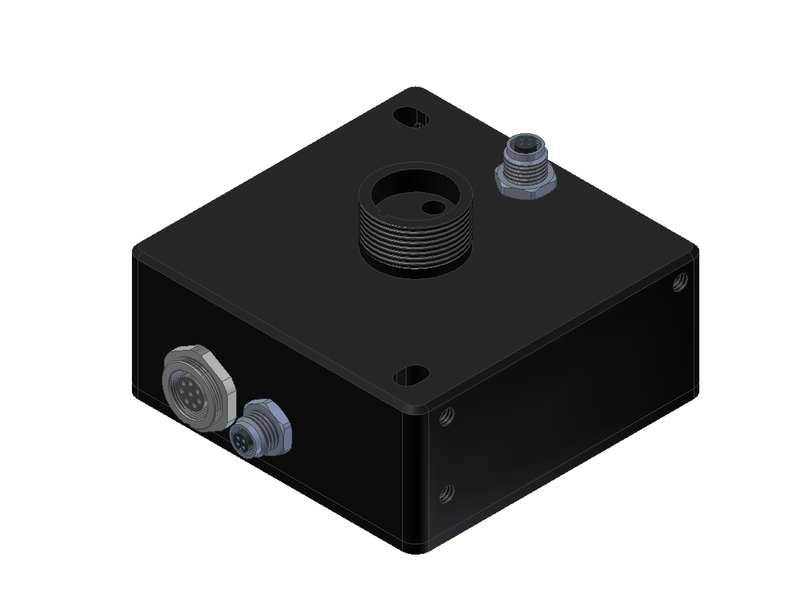 The measuring systems can be used both for color measurement and for color inspection. 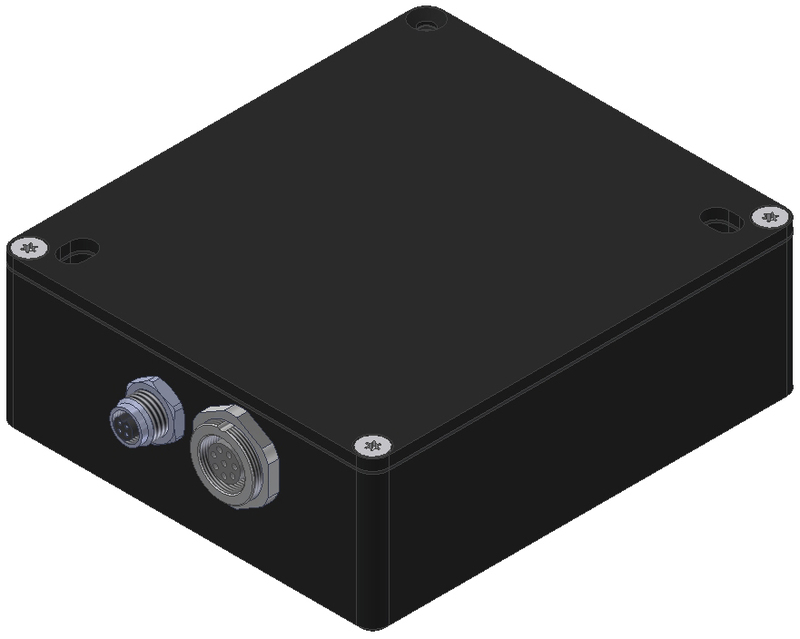 The corresponding parameters (x, y, Y as well as X,Y,Z , L*a*b* and L*u*v*) are set through a serial interface (RS232, USB, ETHERNET). 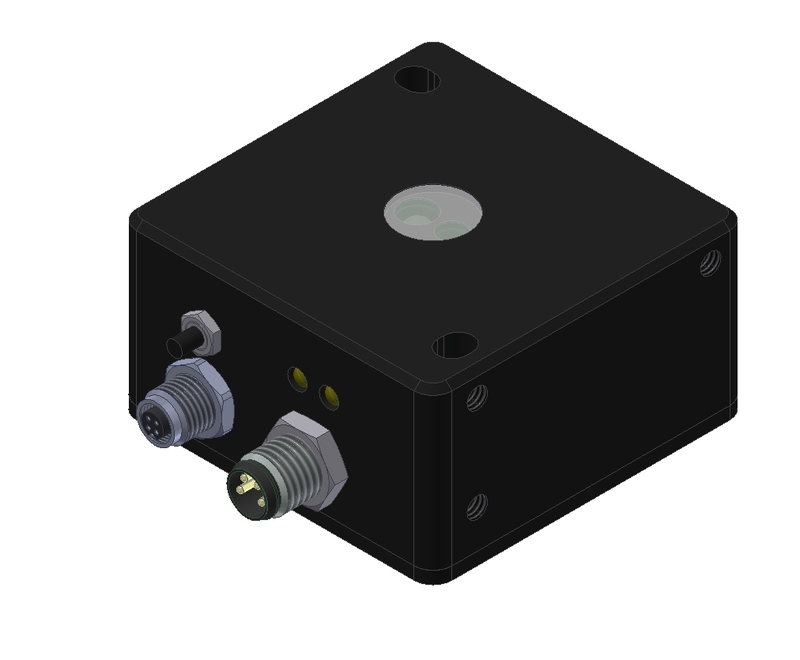 The 5 digital outputs provide information about the max. 3 teachable colors. Additionally to the digital outputs there are three analog outputs available (0V/24V) which informs about x,y,Y, X,Y,Z, L*a*b and L*u*v.
The light source is a combination of blue LEDs and white LEDs. Using special interference filters this generates a spectral characteristic that is similar to STANDARD ILLUMINANT D65. 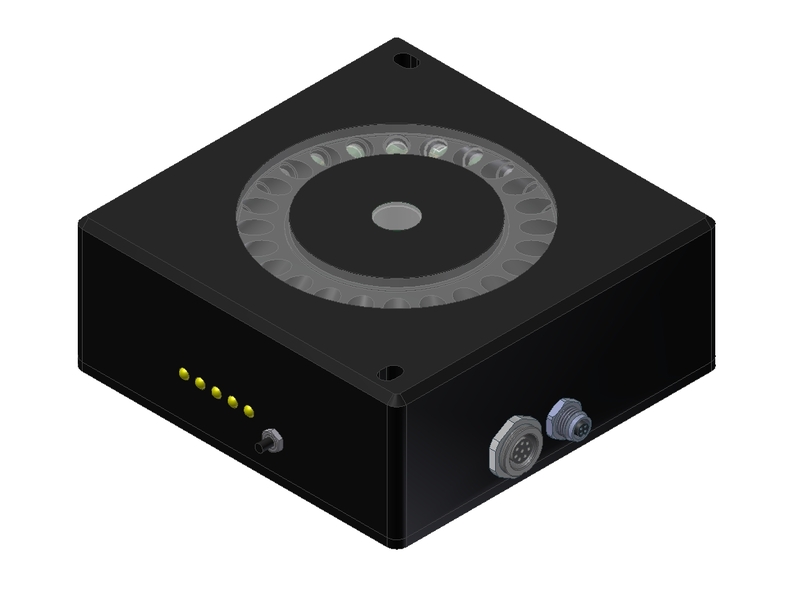 Since the SPECTRO3-45/0 measuring system also features an R, G, B detector (3 range method) whose filter curves are similar to the eye sensitivity curves, this system can be used for high-speed color measurement that is insensitive to extraneous light. 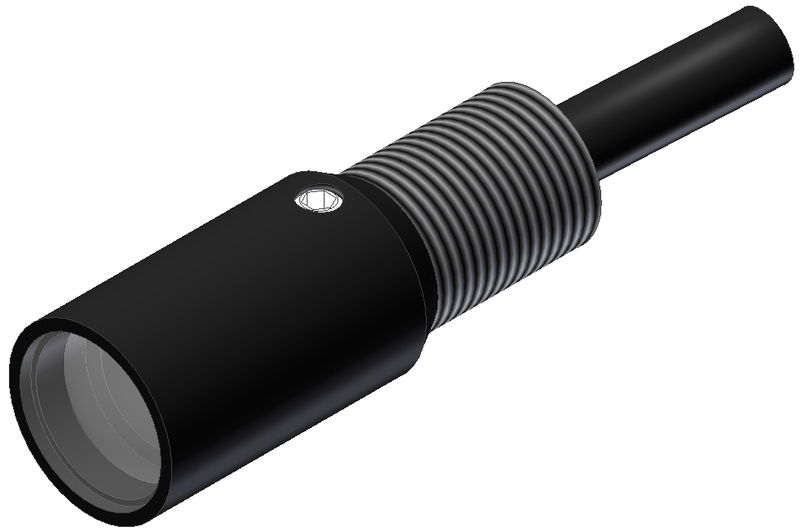 The sensors of the SI-COLO series use 3-range color detectors (R, G, B) in combination with a white-light LED (as light source). 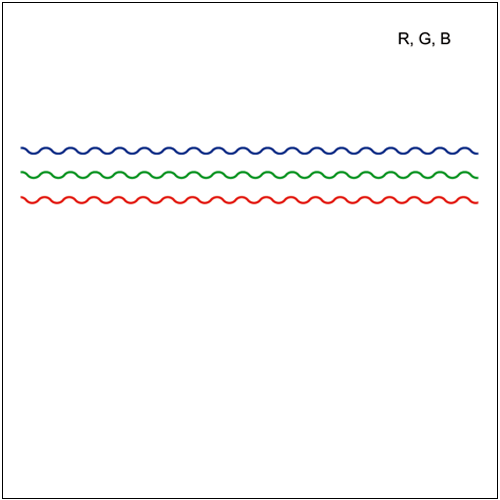 Classic (strict division of the 3 color ranges). 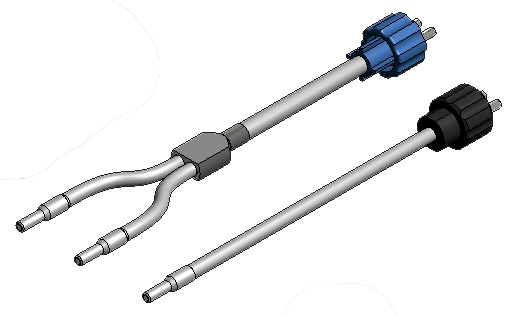 Basically the sensors of the SI-COLO series can be divided into two groups. 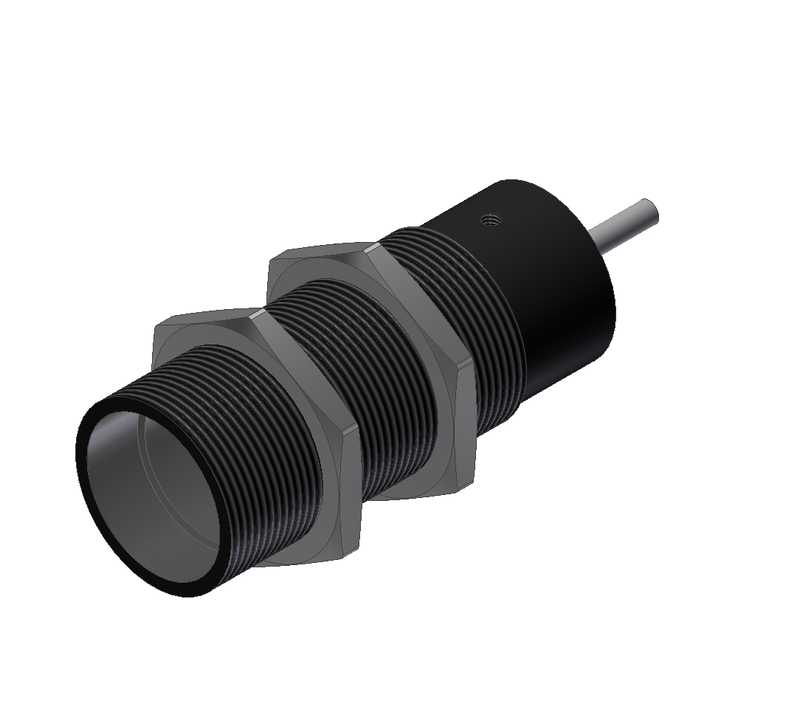 The color sensors of the SI-COLO3 series provide 4 digital signals (0V/+24V) at their outputs (SI-COLO4 series: 5 digital outputs). In binary encoding the sensor can teach up to 15 colors (SI-COLO4 series: 31 colors). 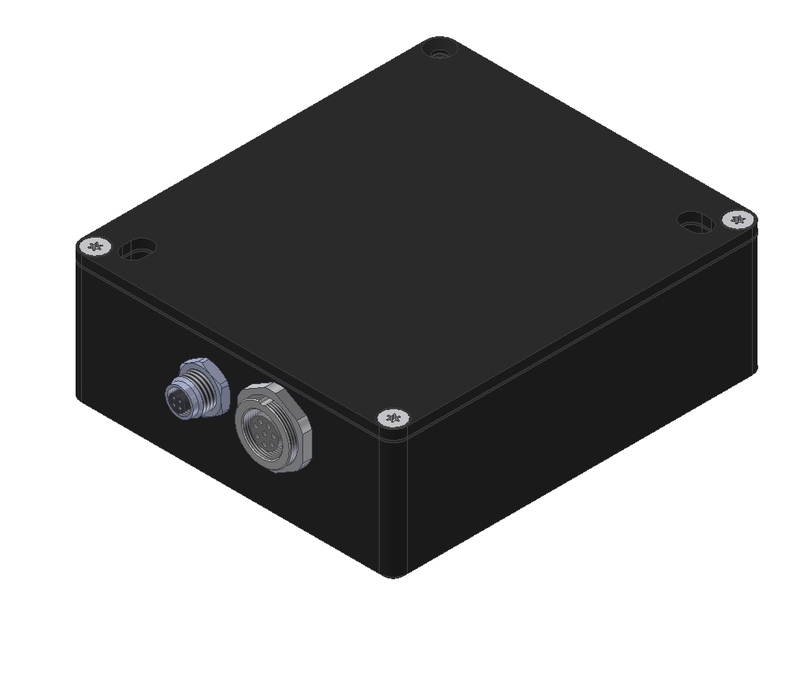 This sensor series also features a serial RS232 interface, and converters furthermore allow a USB and ETHERNET connection. 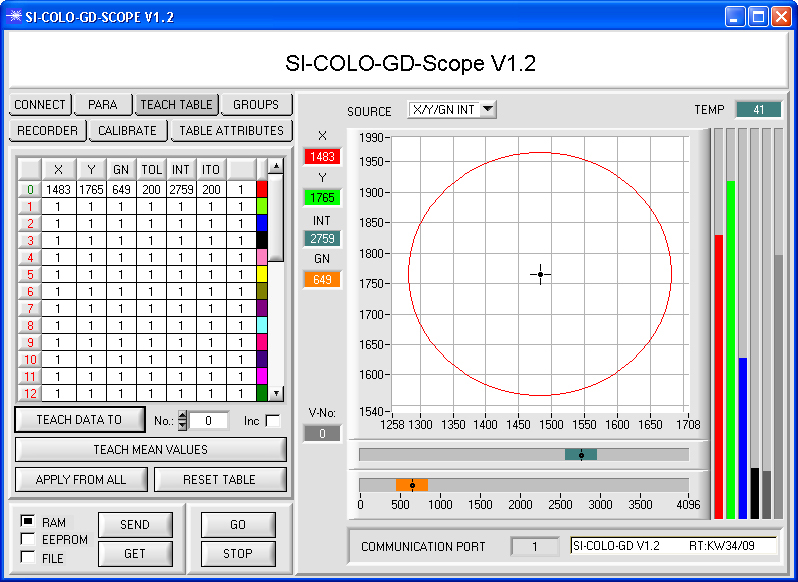 With the SI-COLO-Scope Windows® software the sensors can be easily and comfortably parameterised, and the software furthermore offers clearly structured graphic and numeric displays of the color. 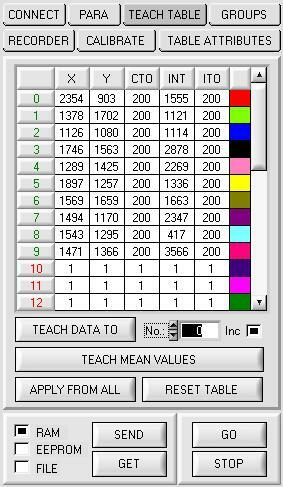 The table usually is filled with a mouse-click on TEACH DATA TO or TEACH MEAN VALUE. However, if EXT. 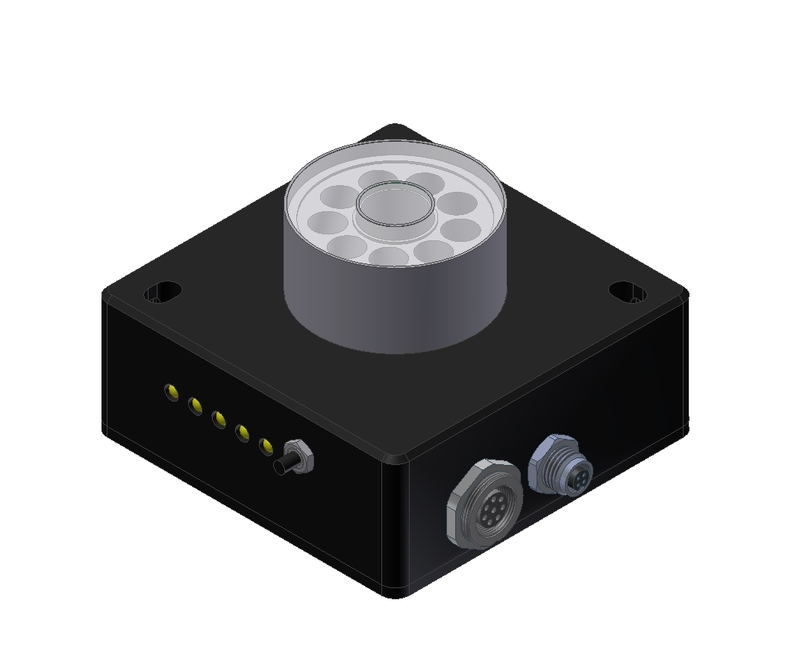 TEACH ON is selected, the data first must be loaded from the memory of the color sensor by clicking on the GET button. The table can later be manually edited. 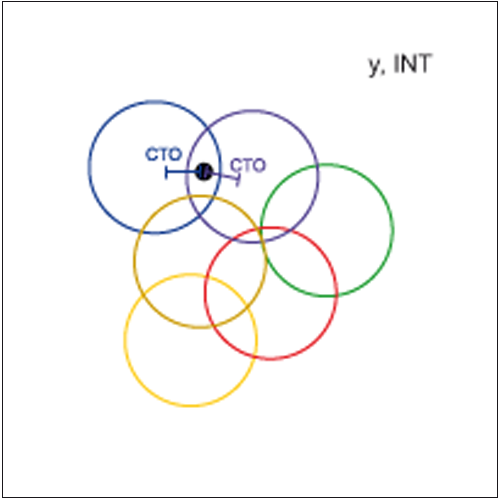 With the GROUPS function several colors can be combined to form a color group and can be output as a GROUP at the color sensor's outputs. 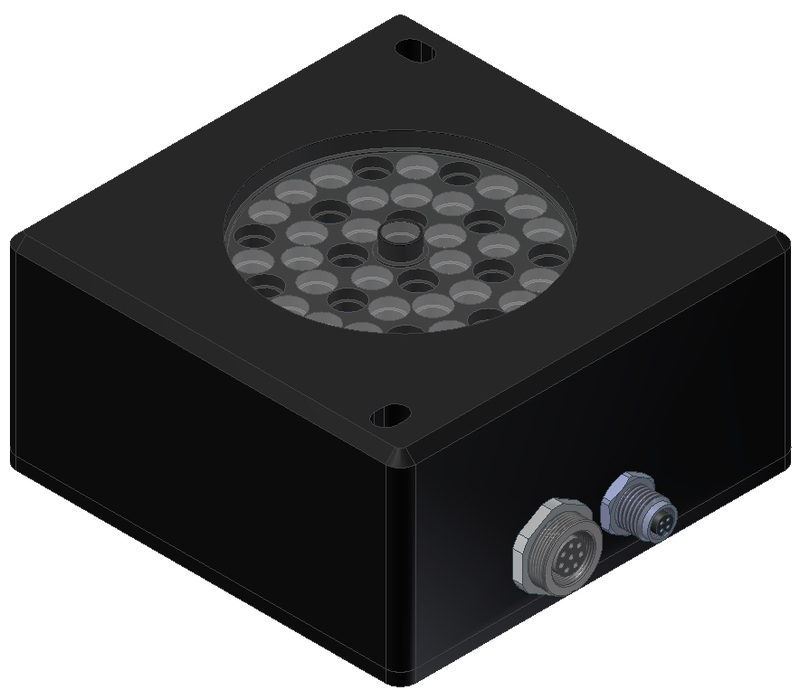 The SI-COLO series uses white-light LEDs as a light source, which offer a long service life, low power consumption, and increased insensitivity to extraneous light (by way of modulation of the LEDs). 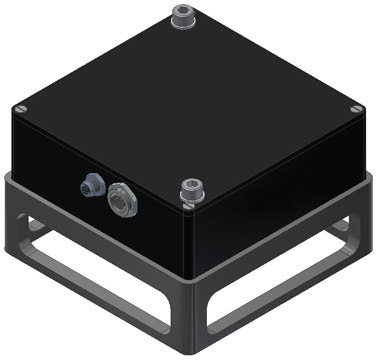 With the POWER MODE function the light power can be set to STATIC or DYNAMIC. 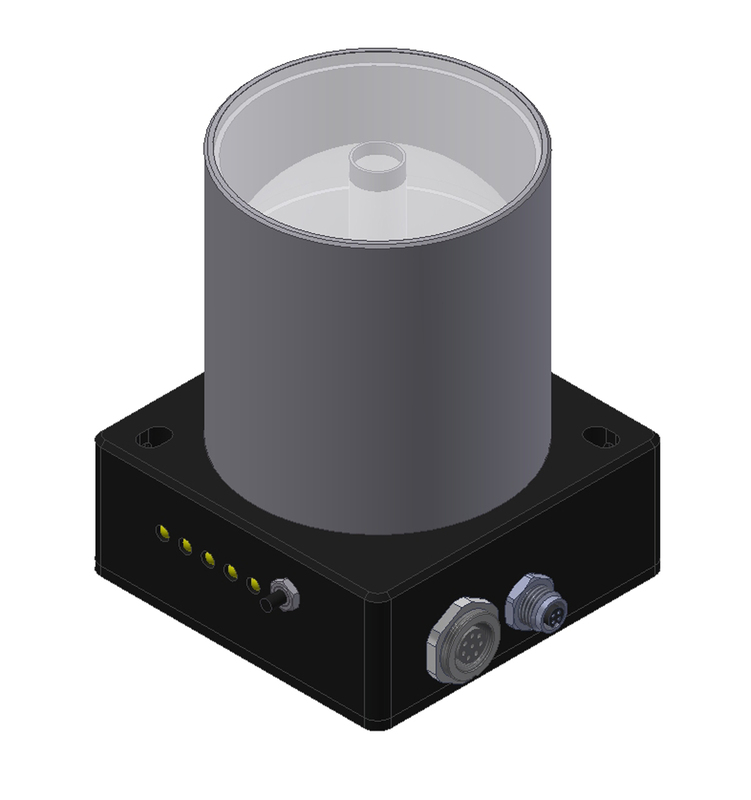 In STATIC mode the light power can be set manually, while in DYNAMIC mode the light power is automatically set and adapted to the respective object by the color sensor. 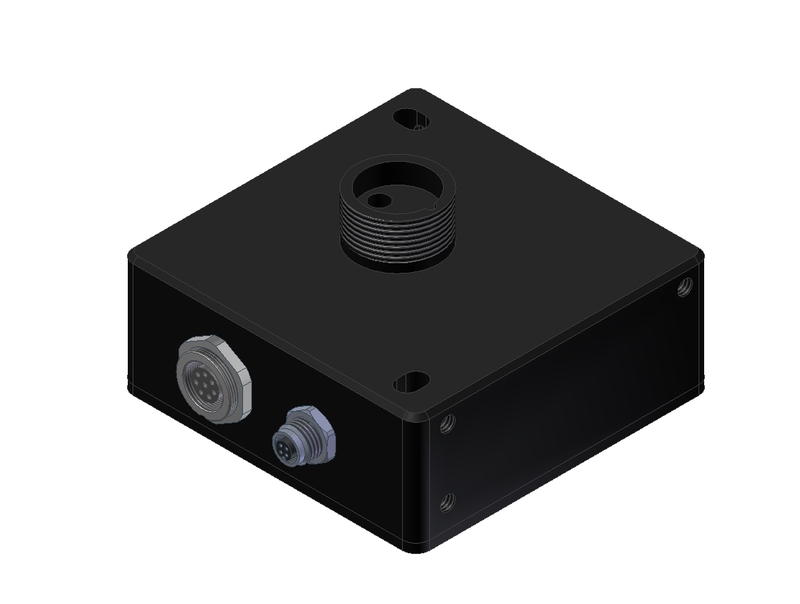 The SI-COLO series uses a color detector that does not comply with the standard (spectral sensitivity curves of the human eye), but provides better results in special applications. 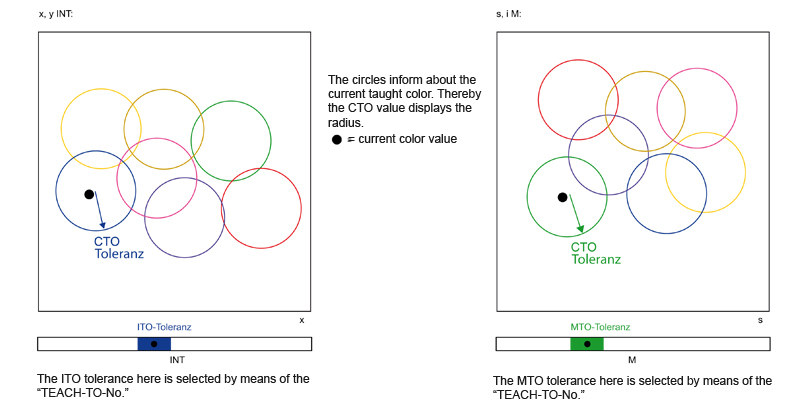 For a current color value to be clearly recognised as an already taught color, it must lie both in the color circle and in the ITO and MTO tolerance (exception: MINIMAL DISTANCE function). 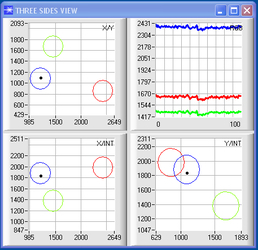 These tolerances are represented in 3 views. 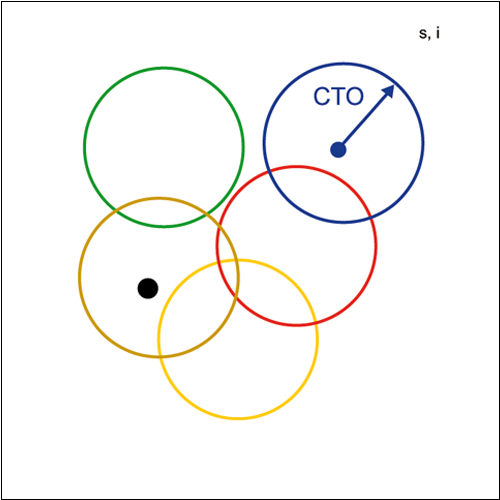 For the current color value to be recognised as a color that is saved in the table, it must lie in the respective color circle in the three views (exception: MINIMAL DISTANCE). 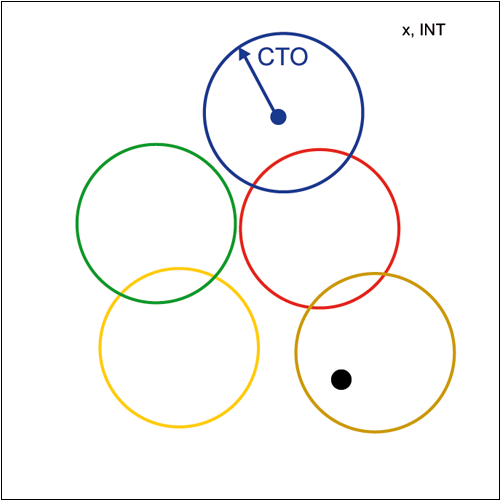 First of all the color sensor checks whether the current color value lies within the tolerances (CTO and MTO with x, y INT, CTO and MTO with s, i M, CTO with x, y INT and s, i, M) of one of the colors that are saved in the teach table. 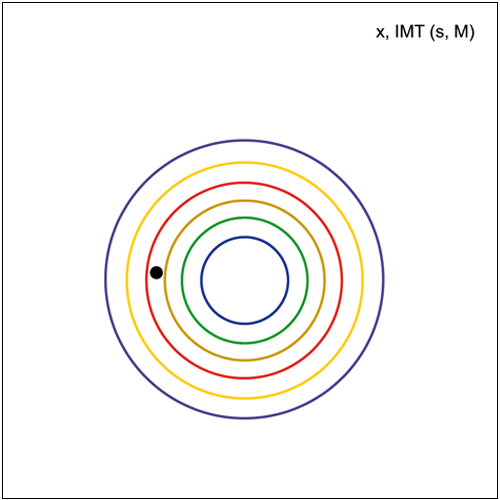 Next the distance from the respective eligible color circle centres is determined in x, y INT and s, i M mode. The smallest distance is decisive for color number assignment. 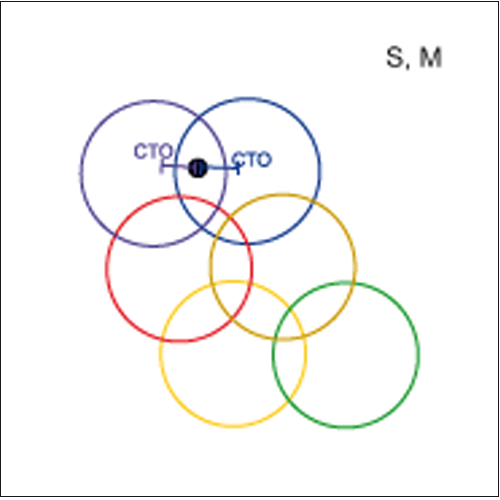 The current color • lies in the CTO range of the saved colors Ø, 1, 4 and in the ITO (MTO) tolerance range of the colors Ø and 4. 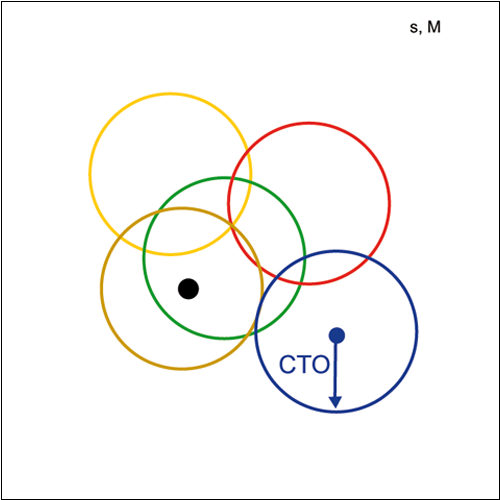 The distance from the centre of the Ø color circle is smaller than the distance from the circle centre of color 4. The color sensor therefore selects color Ø and outputs this color at the 4 (SI-COLO3 series) or 5 (SI-COLO4 series) digital outputs! 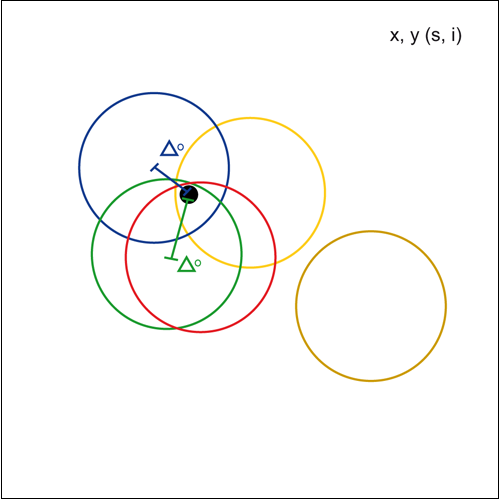 The distance of the current color value from the circle centres is calculated with DIST=(Δx² + Δy²)½ and (Δs² + Δi²)½. 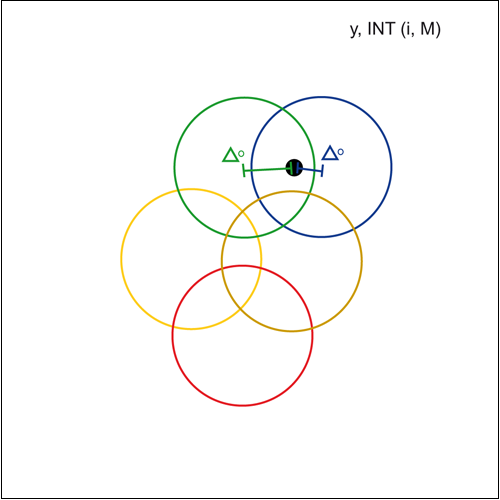 In x, y, INT and in s, i, M mode, on the other hand, the distance from the eligible color sphere centres is calculated after the tolerance check. 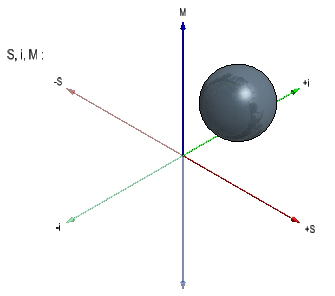 The number of the color sphere whose centre is closest to the current color is then output at the color sensor's switching outputs. 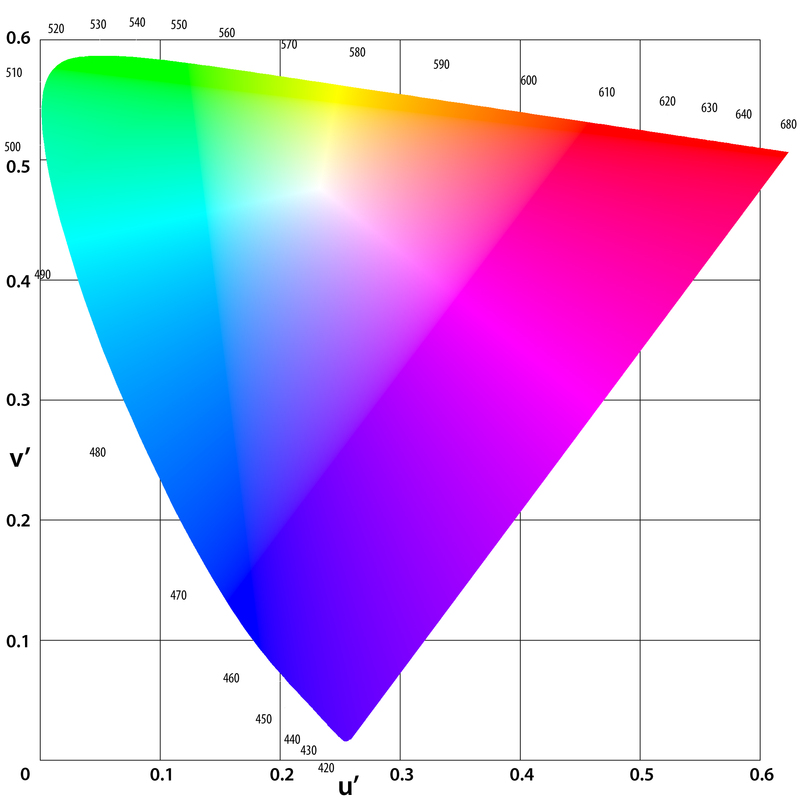 The distance of the current color value from the eligible colors is calculated with DIST=(Δx²+Δy²+ΔINT²)½ and DIST=(Δs²+Δi²+ΔM²)½. 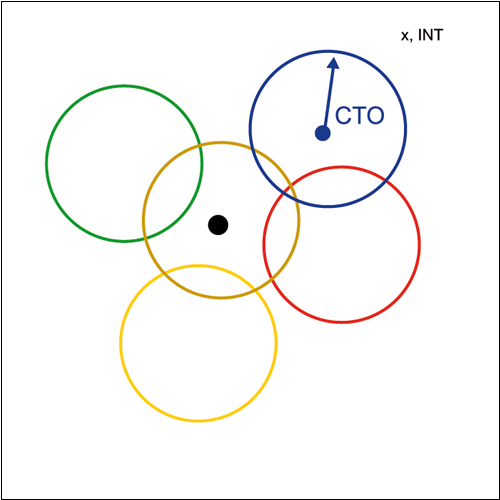 The current color lies in the CTO range of colors Ø and 1 that are saved in the teach table. 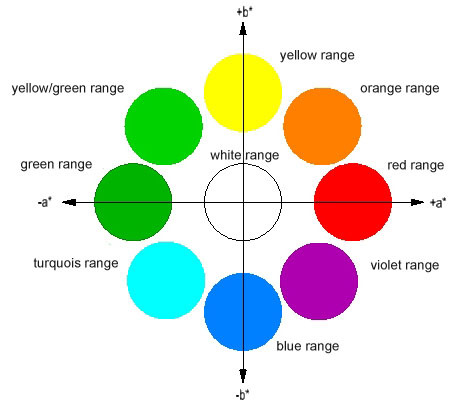 The distance of the current color value from the color sphere centre of color Ø is smaller than of color 1, the current color value therefore is assigned to color Ø! 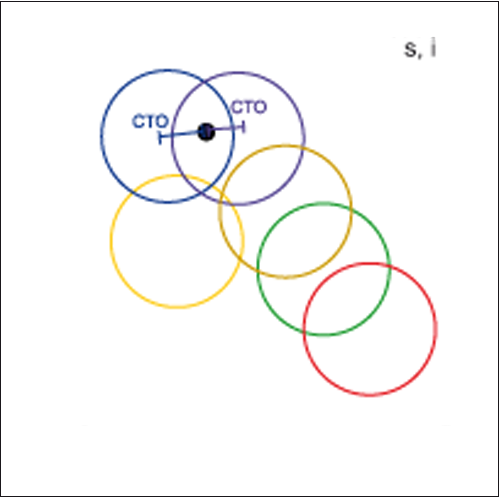 The color Ø is output at the 4 (SI-COLO3 series) or 5 (SI-COLO4 series) digital outputs. This selection mode primarily is used if a current color value should be classified into different color classes. 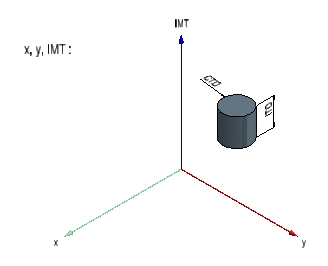 The program of the color sensor goes through the table from top to bottom and searches for hits. 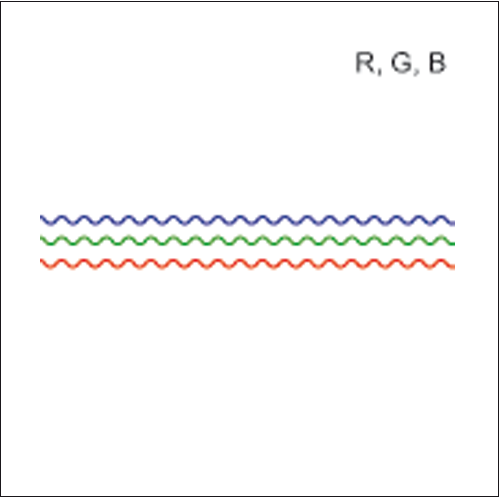 This means that when a saved color is found in the tolerance range of which the current color lies, this color number is output at the color sensor's digital outputs. 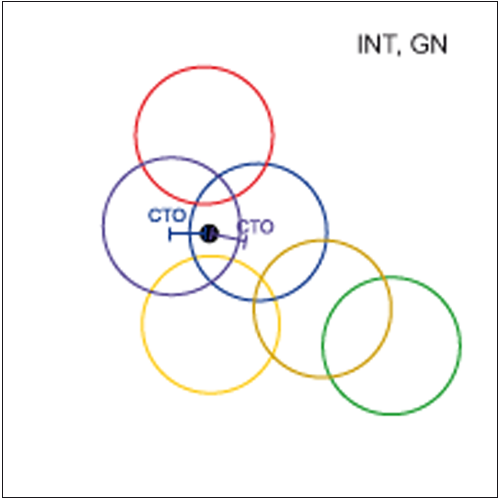 The current color • does not lie in the CTO range of color Ø and color 1; the first color that fulfils the tolerance condition is color 2, of course the ITO condition (or the MTO condition) must also be true. 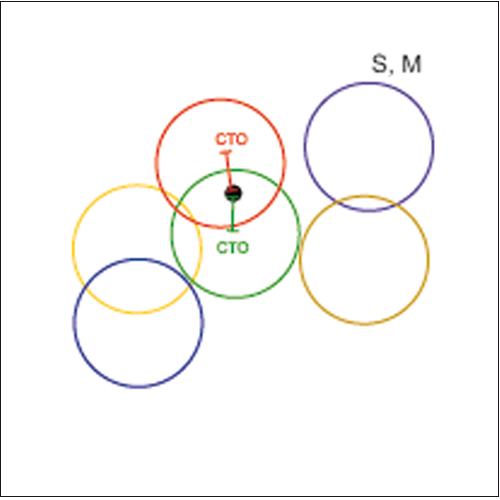 Color 2 is therefore output at the color sensor's digital outputs. 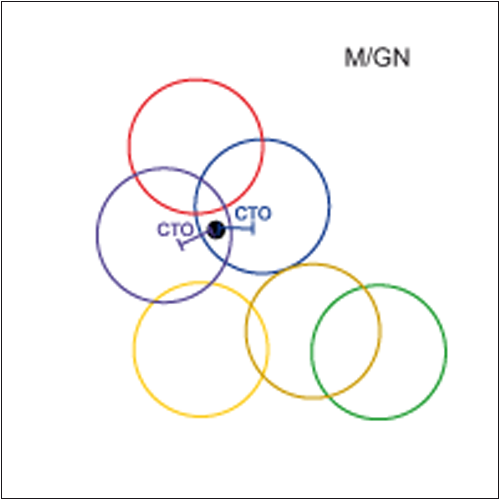 The current color • does not lie in the CTO range of color Ø, color 1 and color 2. 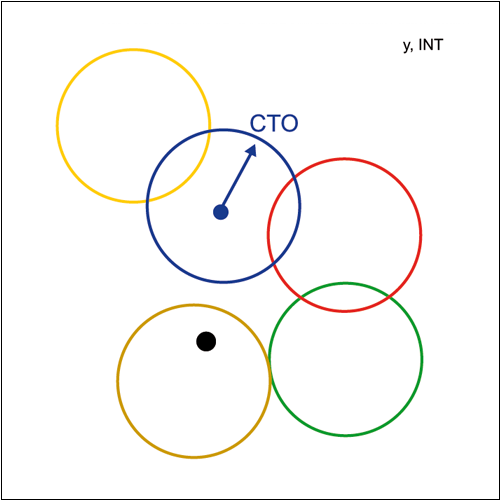 Color 3 also is not eligible, because as can be seen in the y, INT (or i, M) view, the current color value also lies outside the CTO of color 3! Color 4 therefore is the first color hit! The color sensor sends color 4 to its switching outputs! 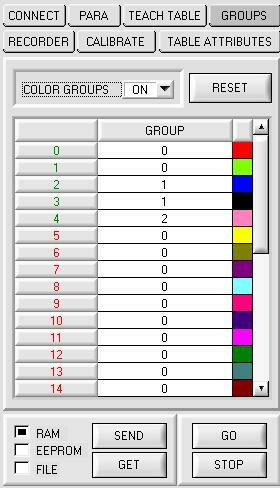 This selection mode does not use any tolerances (CTO, ITO, MTO), it calculates the distance of the current color value from the saved colors (coordinates). 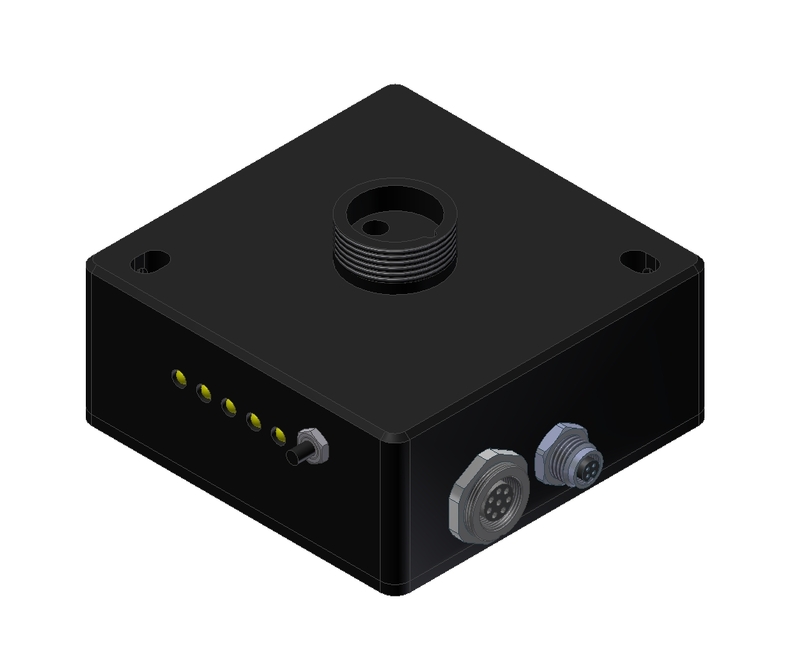 The color sensor selects the color that has the smallest distance from the current color value, and sends this color the digital outputs! 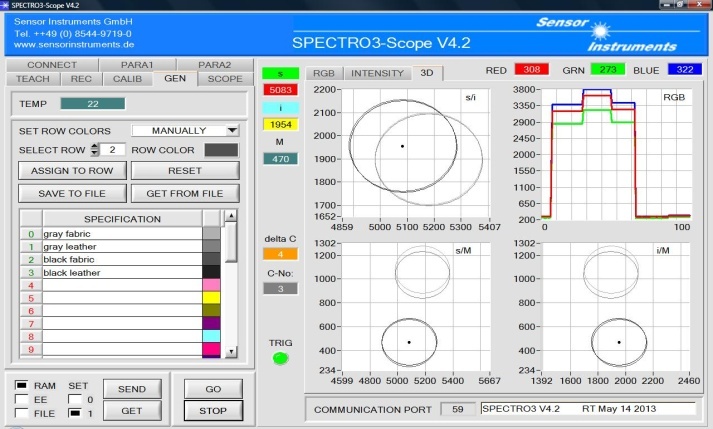 Although the color sensors of the SPECTRO-3 series look quite different, their function is similar to the sensors of the SI-COLO4 series. 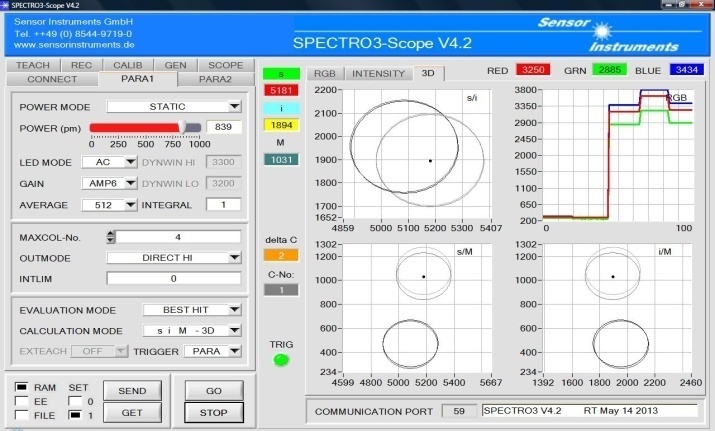 However, the SPECTRO-3 series offers several additional performance features. 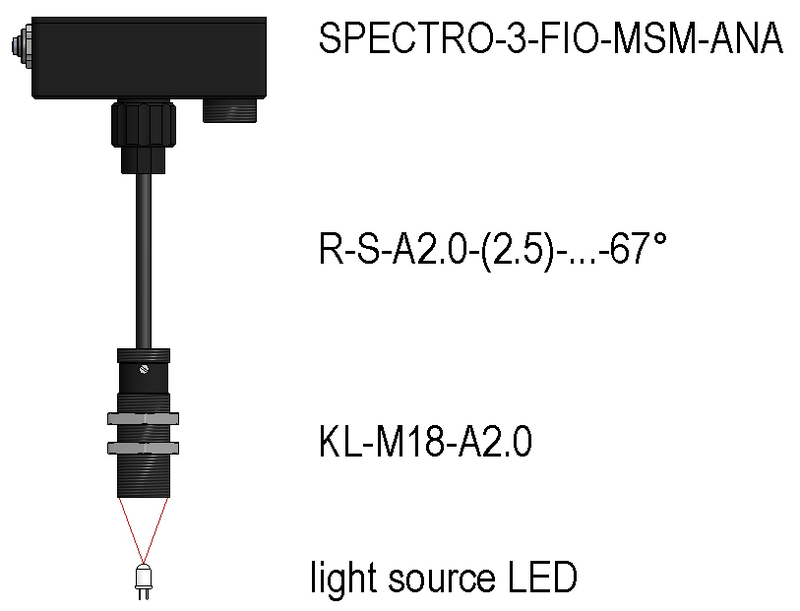 White-light LEDs can be turned off: The sensors of the SPECTRO-3 series therefore can be used as color measuring sensors for L*u*v* measurements. 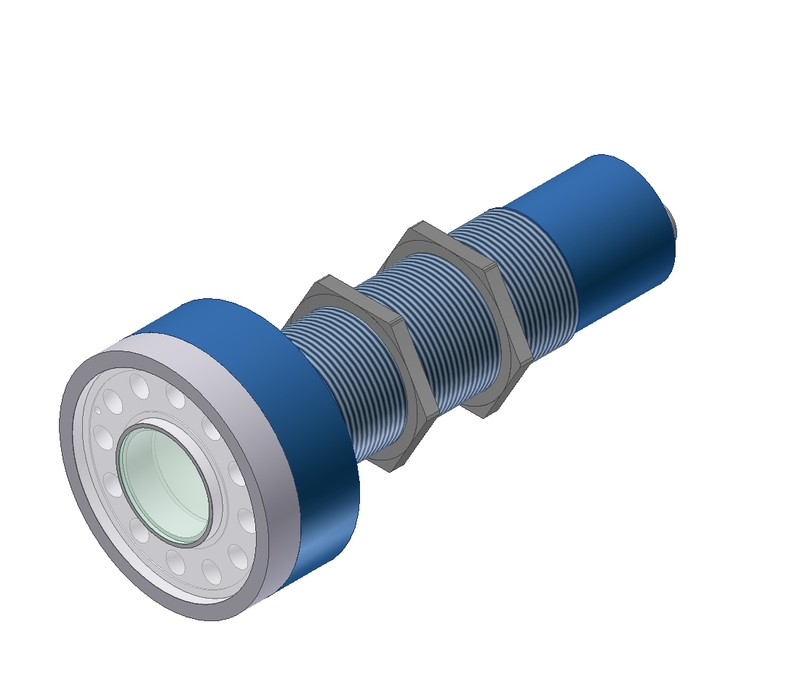 UV light types are available, which allows color fluorescence inspection. 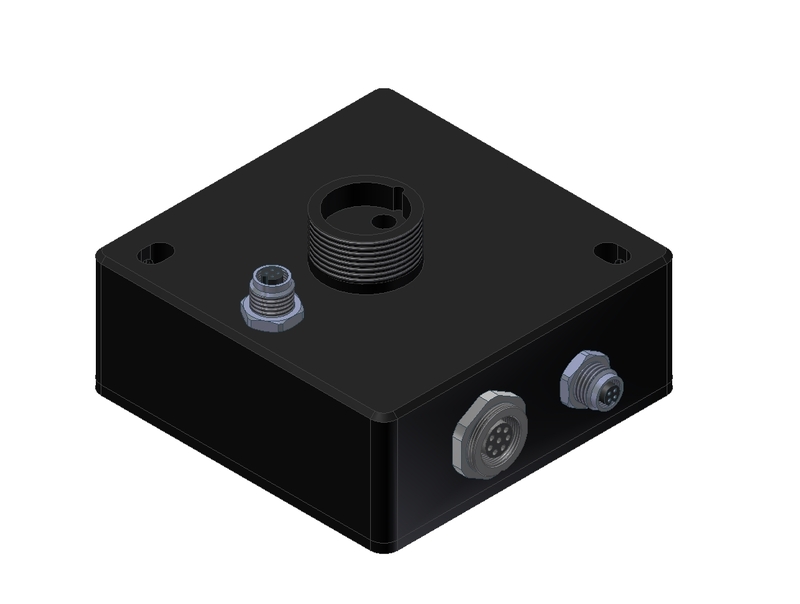 Gain factor of the receiver can be set in 8 stages. 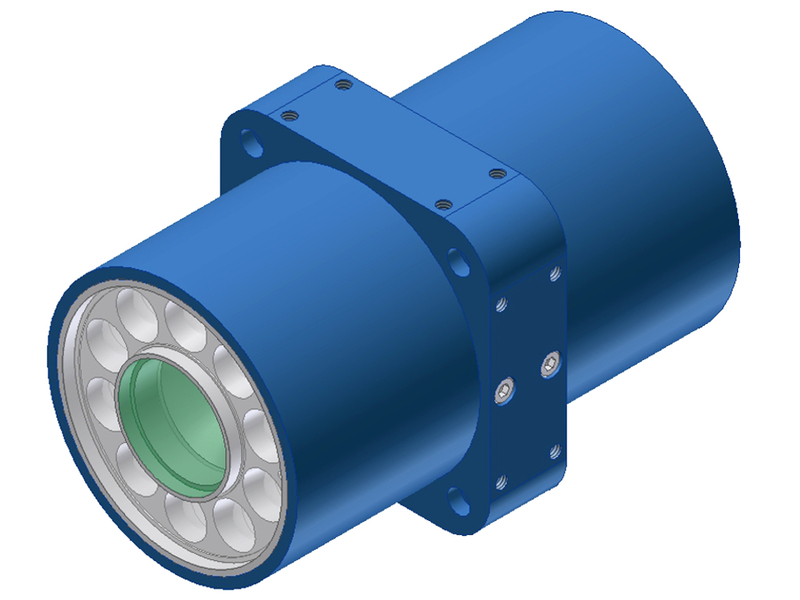 High-speed automatic light power correction in DYN mode (dynamic mode of the white-light LED). 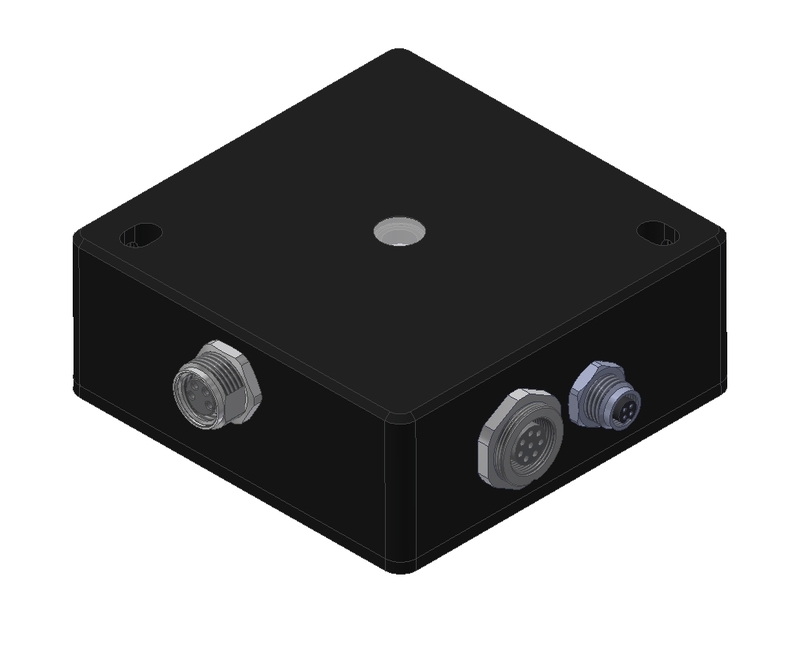 The SPECTRO-3-...-ANA series features both analog and digital outputs. Extremely insensitive to extraneous light, even if the extraneous light sources illuminate the object much more than the integrated light source. 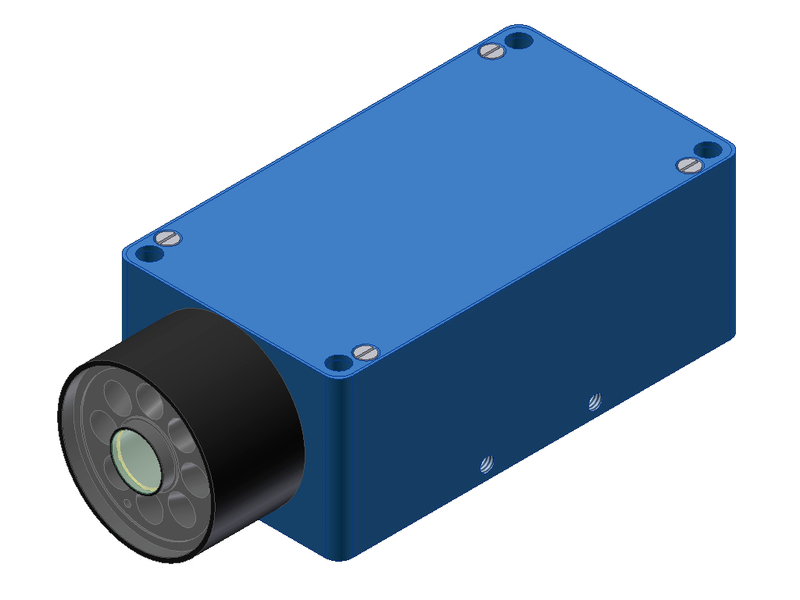 Color sensor types are available that also can be used with large object distances (up to 2 m). 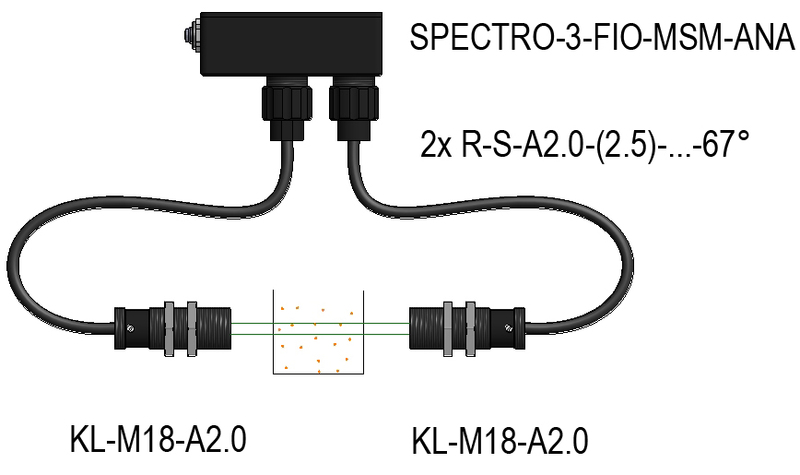 Two different filter types are available (experience has shown that the classic color detector in many applications offers better color differentiation). 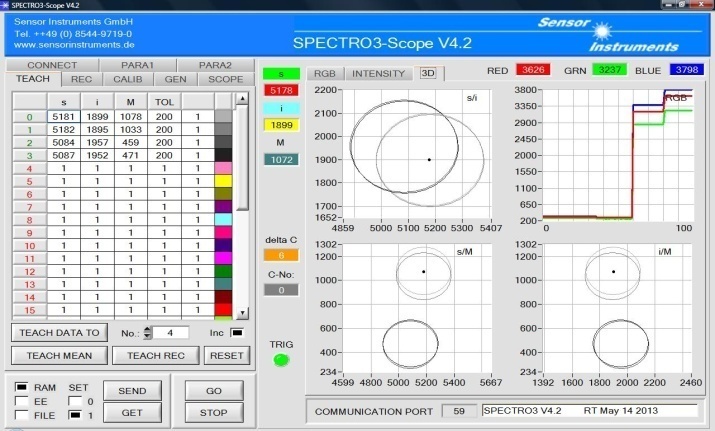 In addition to the already mentioned color selection methods BEST HIT, FIRST HIT and MINIMAL DISTANCE, the SPECTRO-3-...-ANA types feature other algorithms that were especially developed for color mark detection. 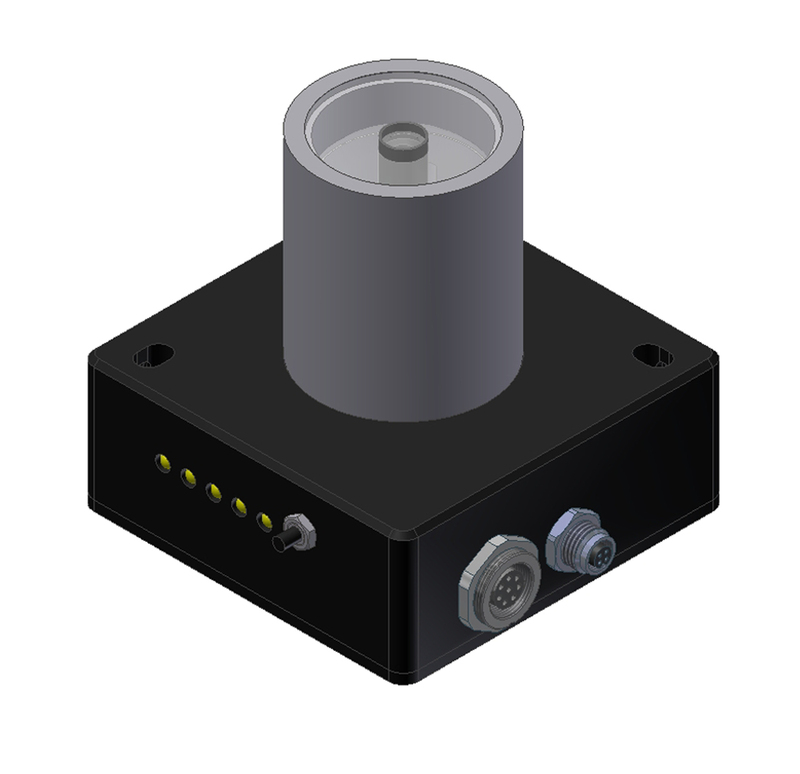 For this purpose an external signal (INO) is provided for the sensor. 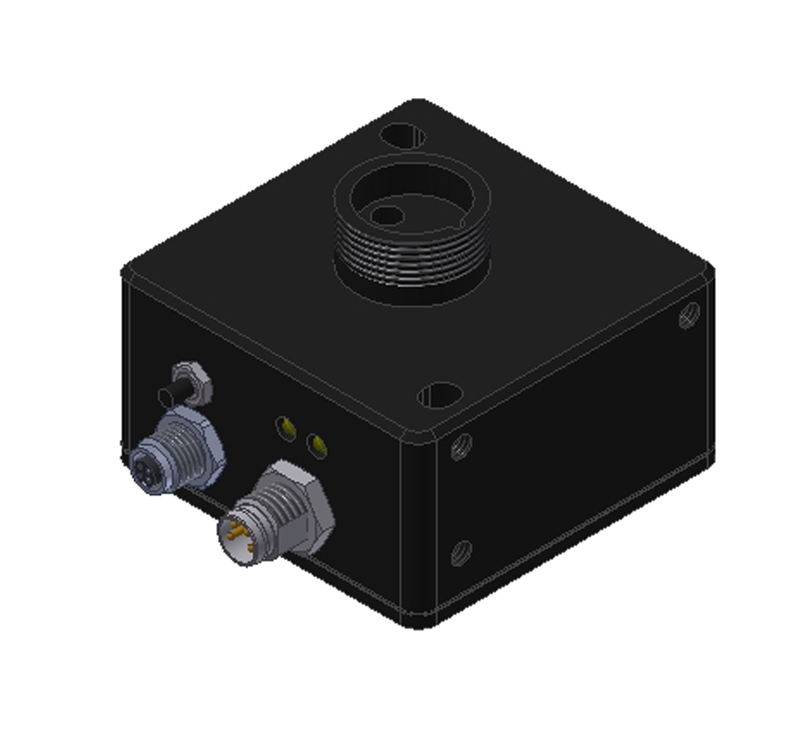 While INO=+24V, the minimum signal value of the three raw signals (R, G, B) and the maximum signal value are searched. 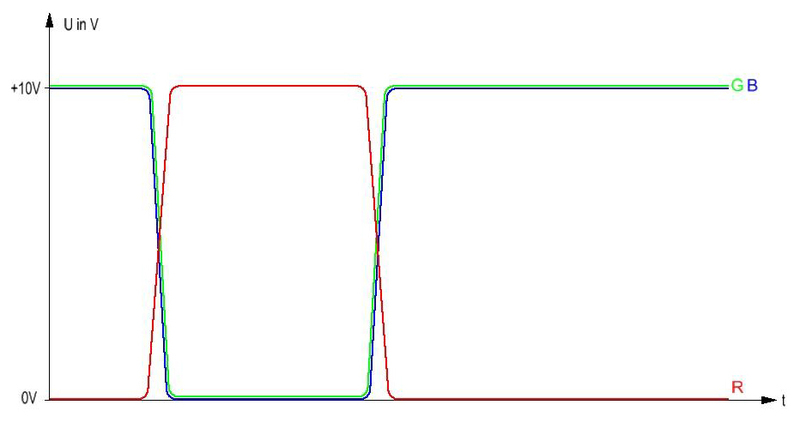 After the end of INO=+24V (high) the ideal switching threshold is determined. 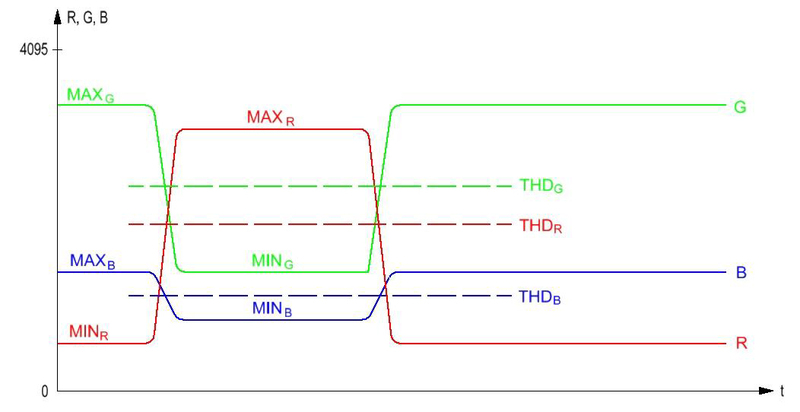 THD=(MAX+MIN)/2, for R, G and B each: THDR, THDG and THDB. 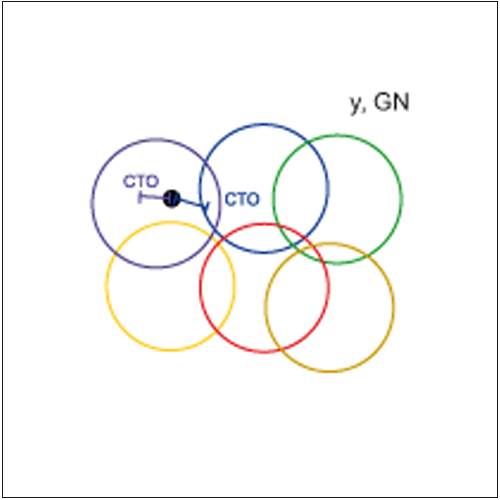 If the R, G, B value then lies above THDR, THDG or THDB, a digital high is provided at the respective digital output. 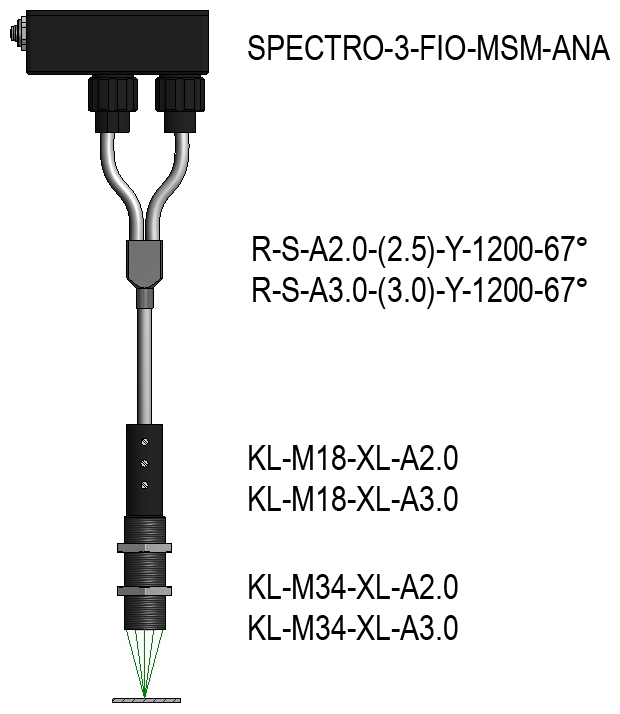 Since the SPECTRO-3-...-ANA version has two digital outputs, two of the three determined digital signals R, G, B can be selected for the output. 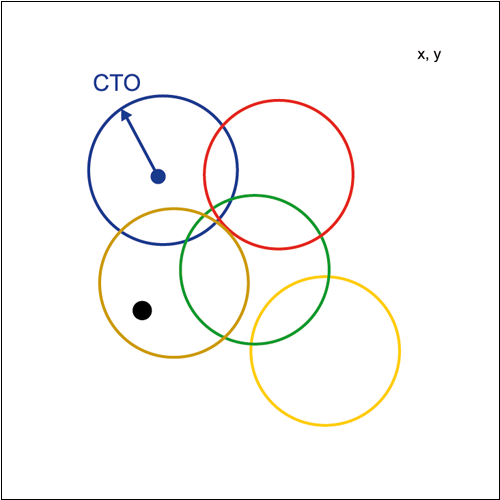 The outputs can be used when the teach process (IN∅ → 0V) is completed. In addition to the digital outputs the three analog outputs also can be used for color mark detection (and for register control). 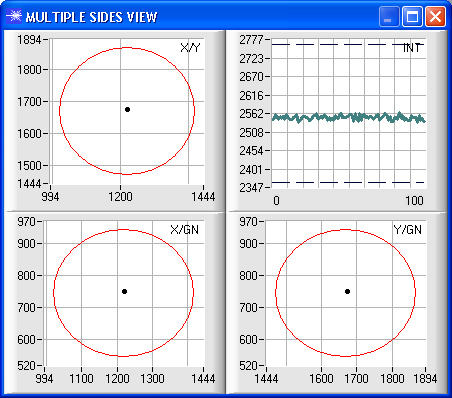 Another software mode makes it possible to "freeze" the analog signals (R, G, B or x, y, INT or SL SL M) when there is a rising edge in the external INRS signal. DIL stands for diffuse light. The light of the white-light LEDs is made more homogeneous by means of a diffusor and thus is less focused when it arrives at the object, which suppresses direct reflection. The -DIL version primarily is used if the gloss effect of an object surface should be suppressed, e.g. with plastic surfaces, imitation leather, wood surfaces, laminates, and paper surfaces. 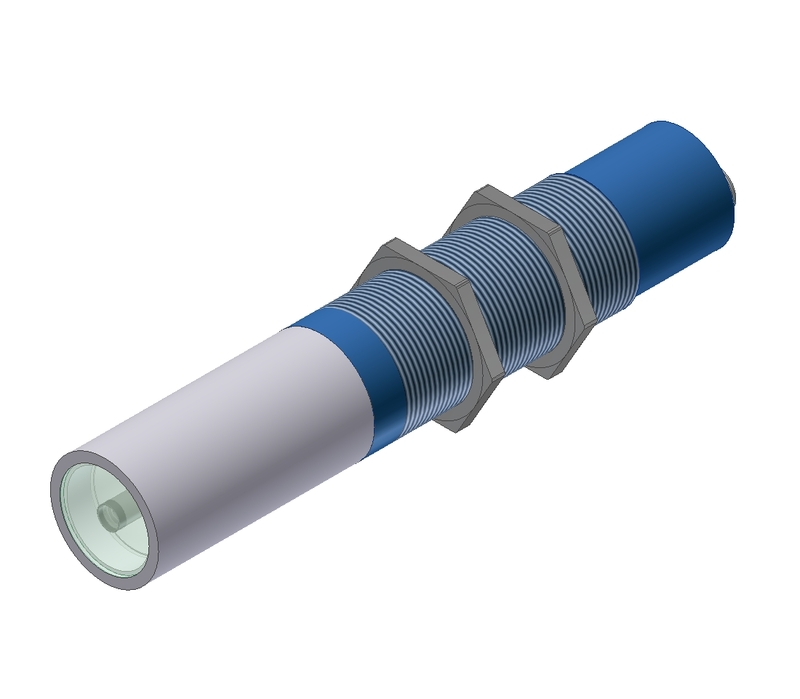 FCL stands for focused light. 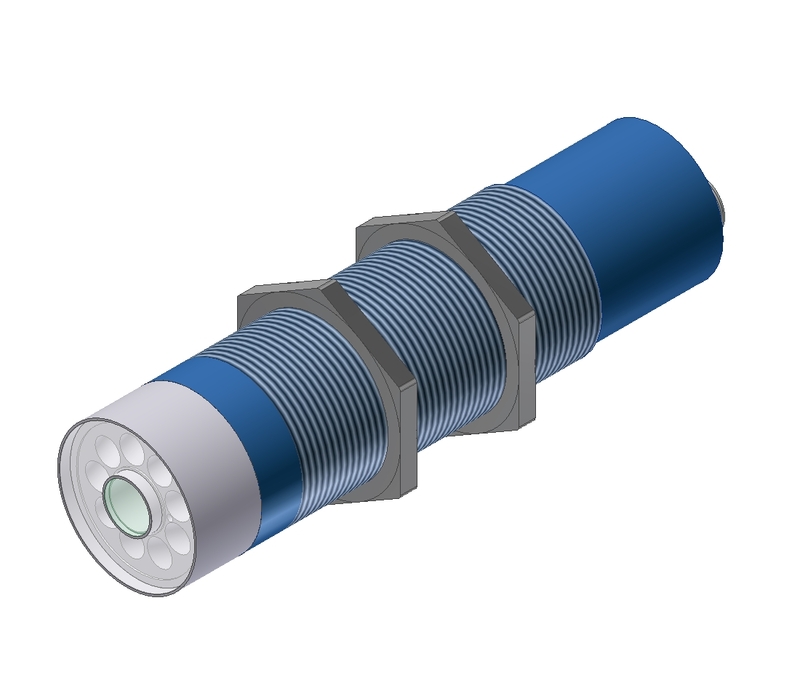 The light of the white-light LEDs is centrically directed onto the object at a certain angle and illuminates a smallest possible area. 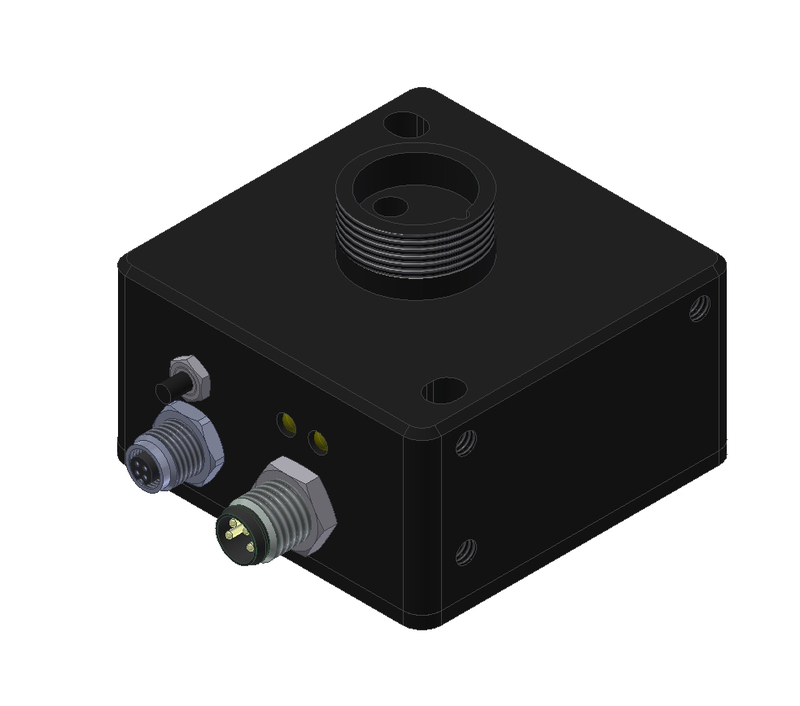 A mixture of directly and diffusely reflected light reaches the receiver. 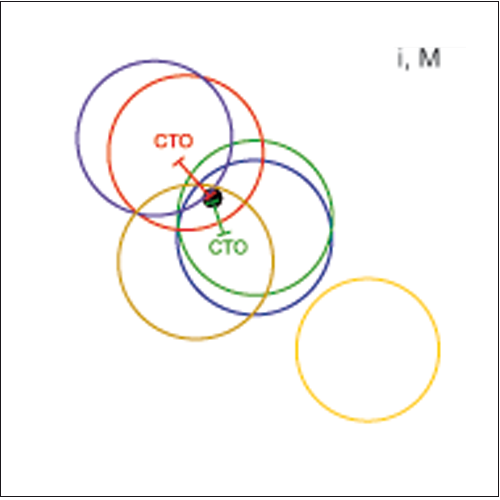 The -FCL types are used for objects at which the gloss difference should be correspondingly emphasized, e.g. for the inspection of a colored paper napkin packaging that is closed with transparent plastic foil. The sensor should check whether this transparent glossy foil is present, or whether the packaging has a defect and is torn. 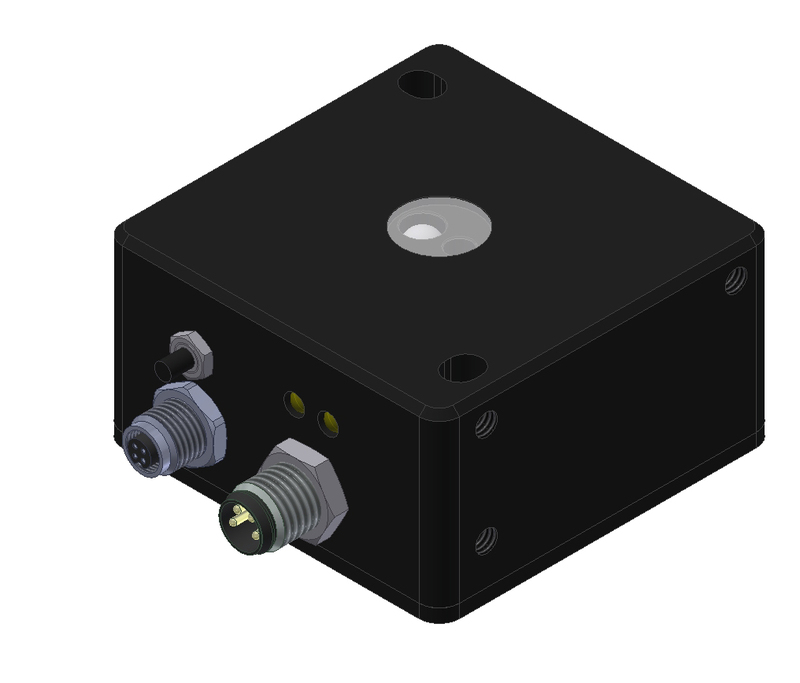 → The glossy transparent foil reflects a part of the light of the white-light LEDs directly onto the receiver, which results in an increase of the intensity. Furthermore the actual color becomes "softer", i.e. more white, because the directly reflected component is white light. 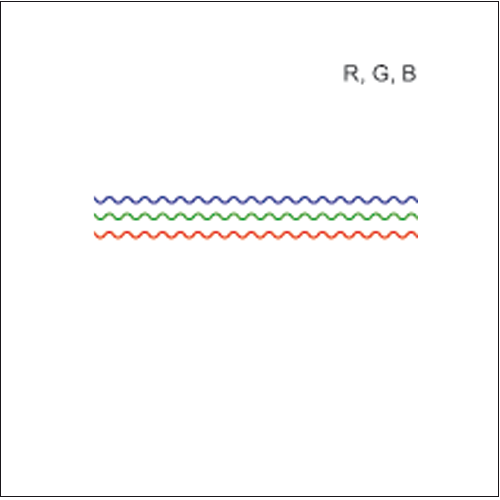 When a packaging is torn, however, it is primarily diffusely reflected light not absorbed by the napkins that reaches the receiver, the color thus becomes more "rich". POL stands for polarised. 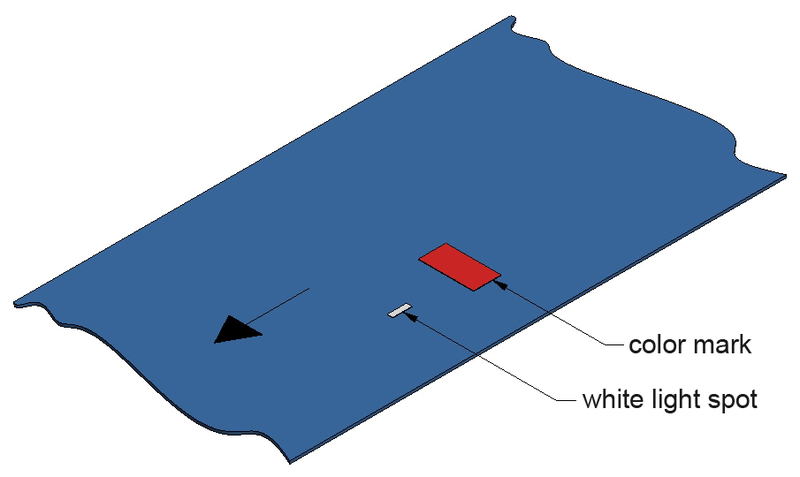 There is a polarisation filter directly before the white-light LEDs, and a polarisation filter at the receiver side that is arranged at a 90° angle with respect to the filter at the white-light LEDs. 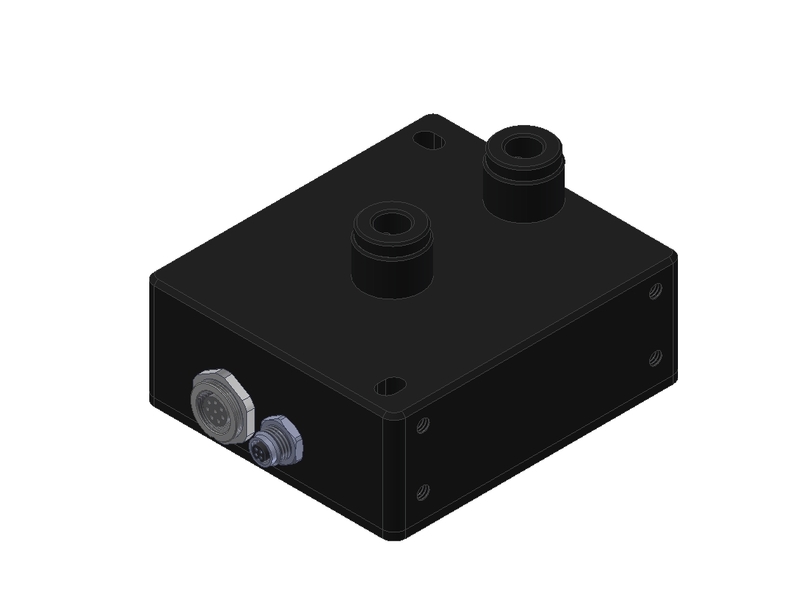 This means that only diffusely reflected light can reach the receiver. Sensors of the -POL type are used if the gloss of the object surface is extremely disturbing, e.g. 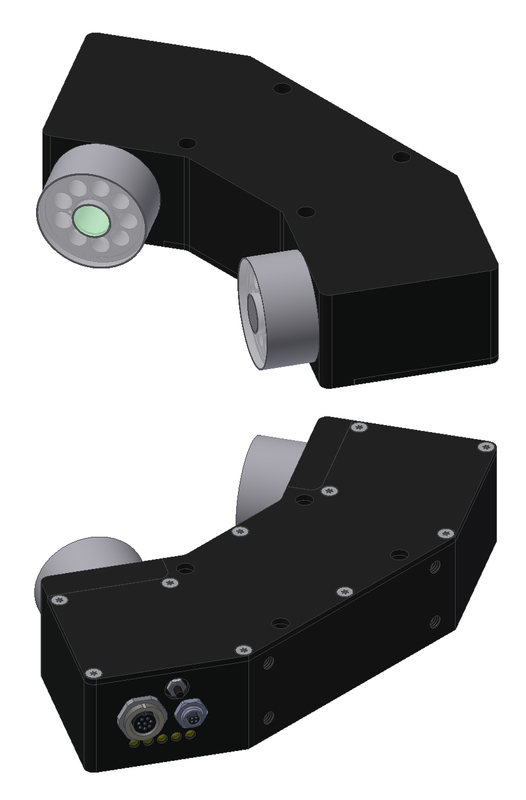 with painted objects such as car doors, rearview mirror housings, fuel tank caps, bumpers, and with high-gloss plastic surfaces. 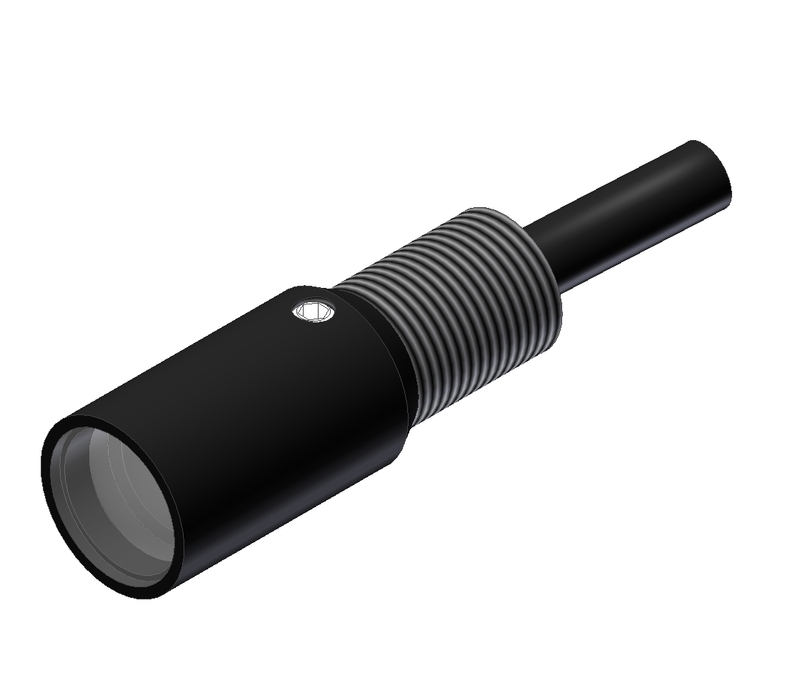 Sensors of the -d type are used for applications that require a small light spot size. 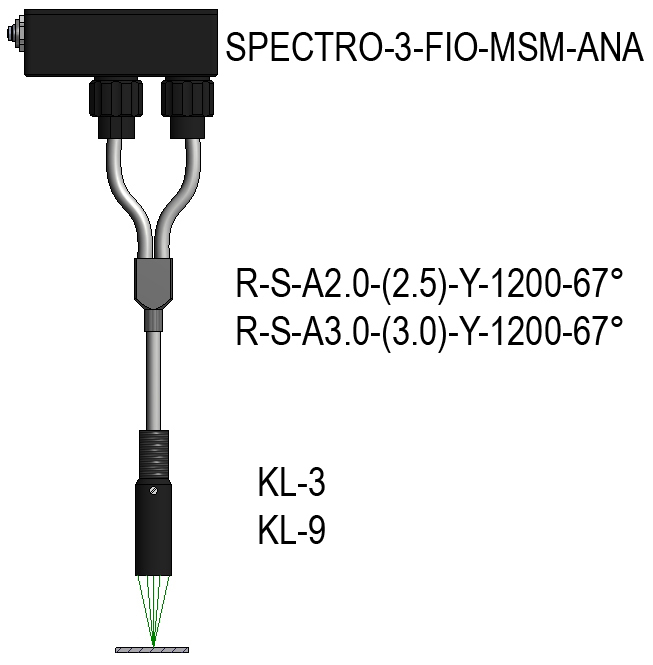 FIO stands for fiber optics. 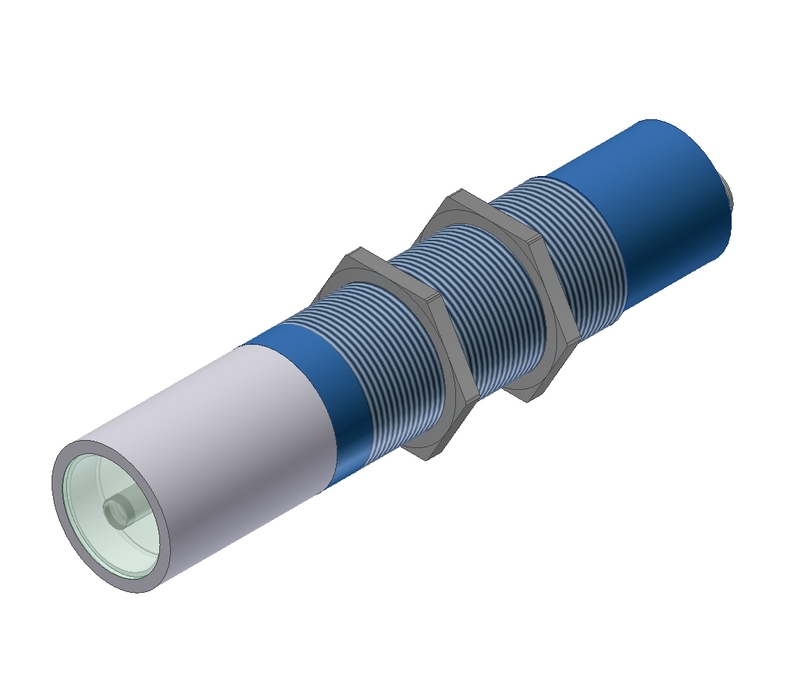 A large range of accessories is available for the fiber optics types. Apart from transmitted-light and reflective-light optical fibres there is a wide range of so-cadistance. 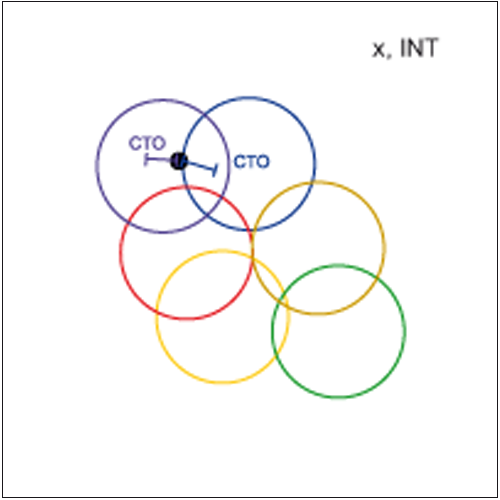 The sensors of the -FIO type considerably facilitate color inspection in the x-range. 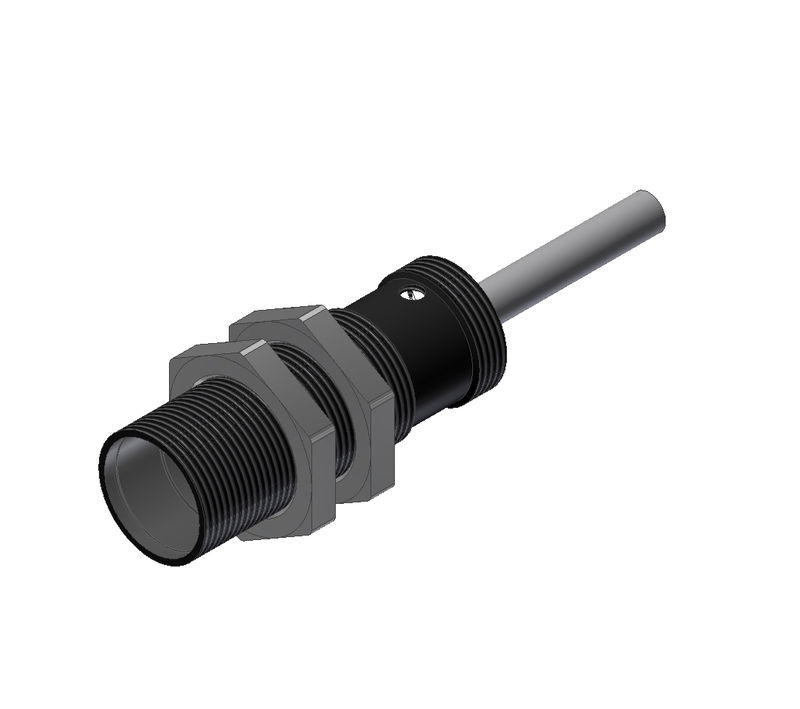 The fibre-optics sensor types of course also are excellently suited for applications with little available space. LUMI stands for UV lighteing source. 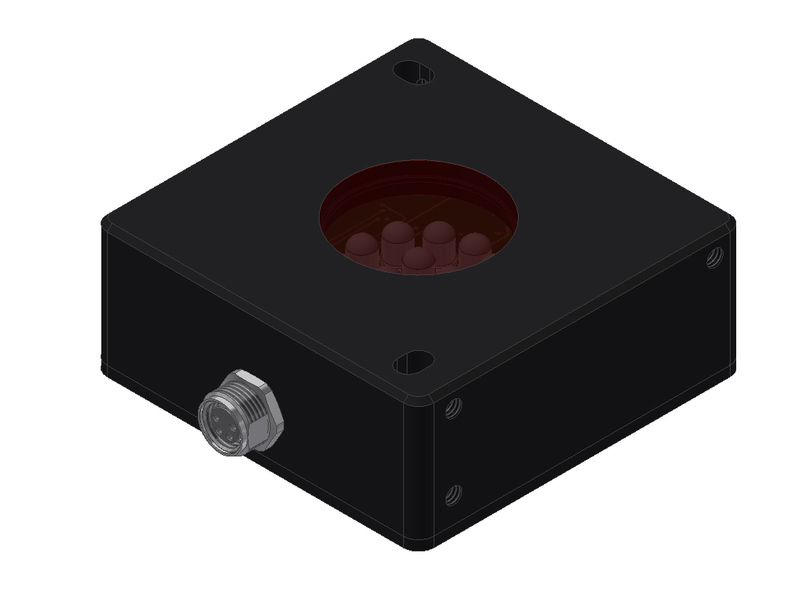 Instead of white-light LEDs these sensors use UV LEDs. 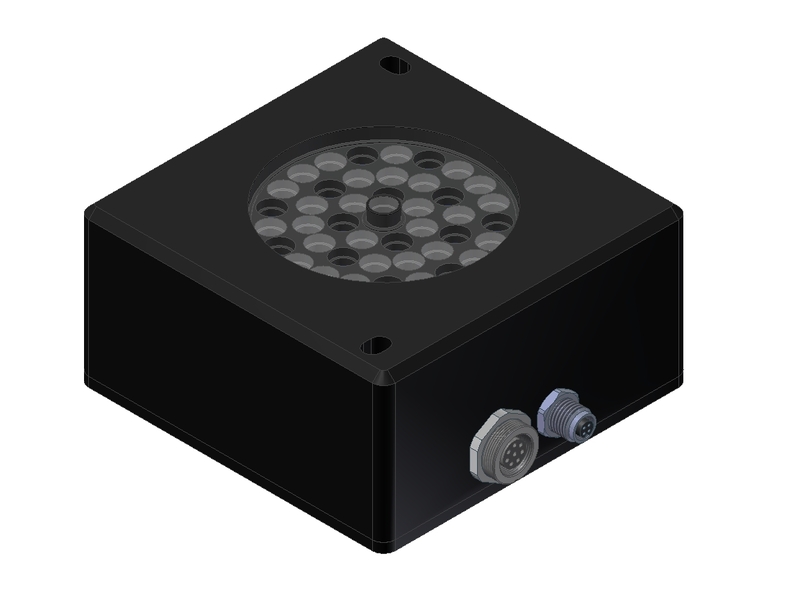 The LED cover is made of black glass. 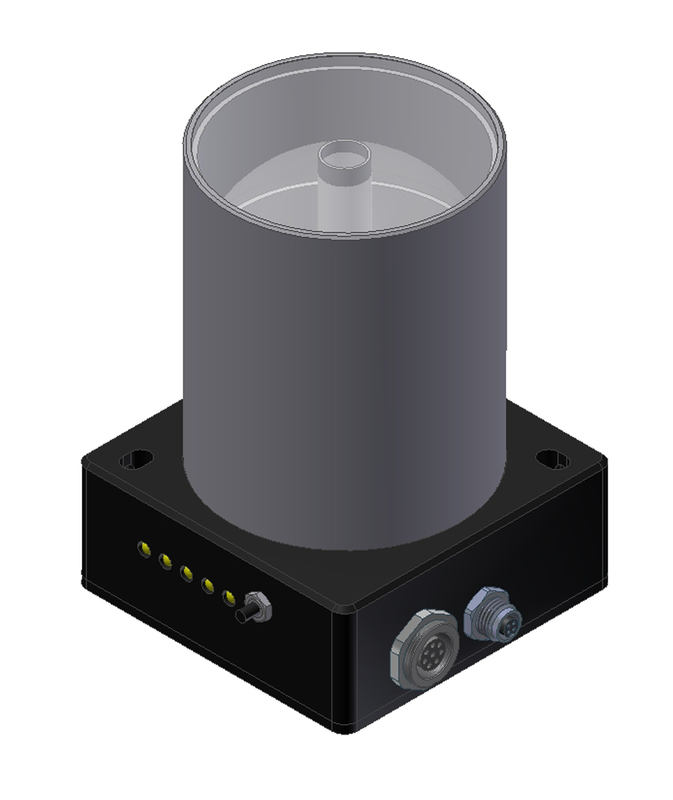 If only UV light reaches a fluorescent surface, it is converted into visible light of a certain color, which in turn can be evaluated by the color detector. 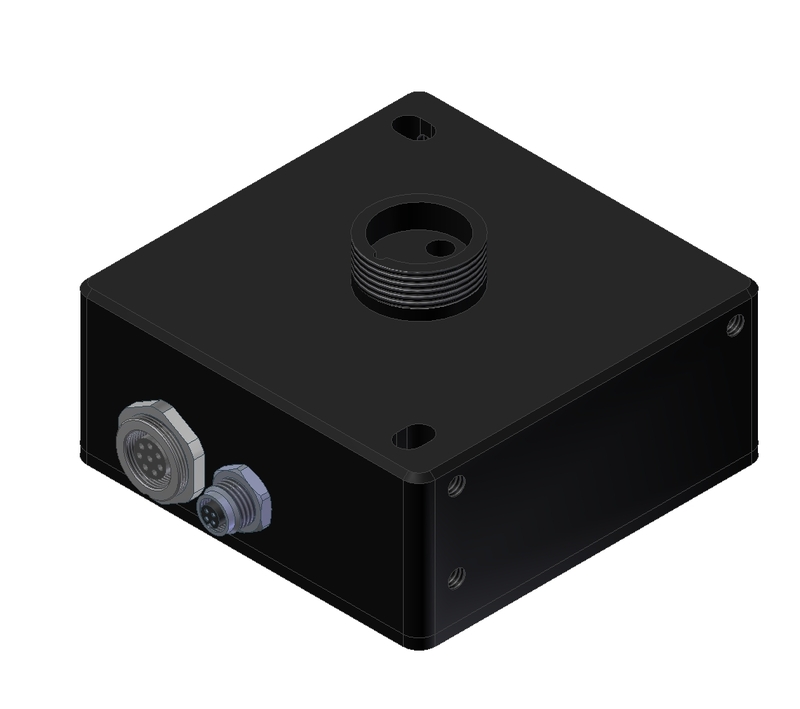 DIF stands for extreme diffuse light. 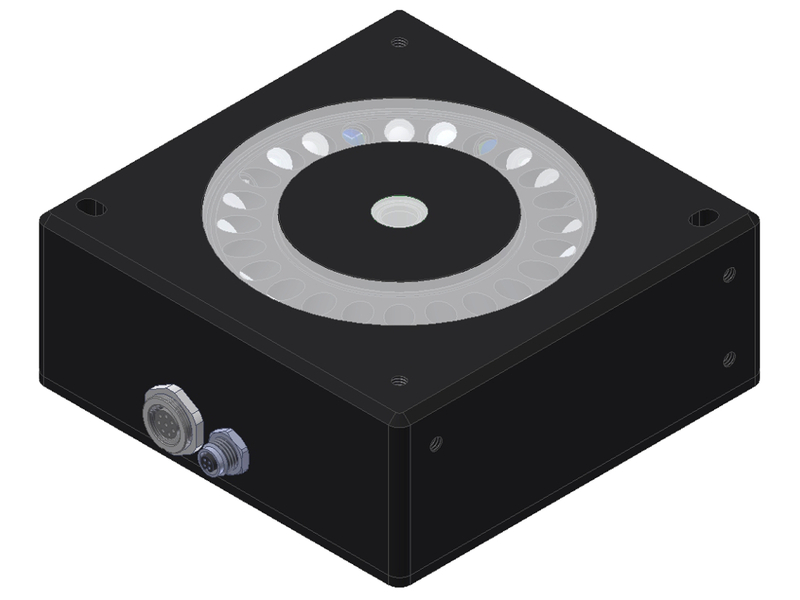 Hereby the diffuse light will be generated via a volume diffusor glass disk (milky plate) in combination with LEDs. 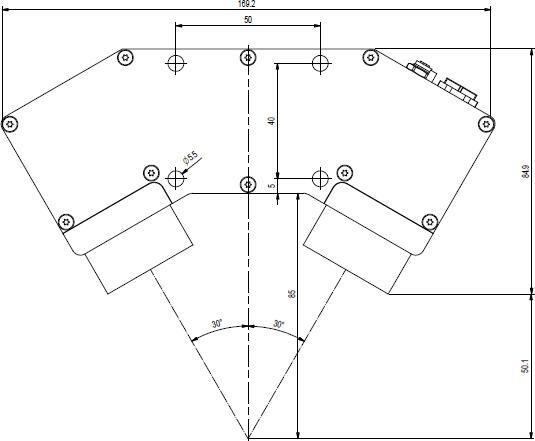 The light is passing the diffusor disk with an angle of nearly 180°. 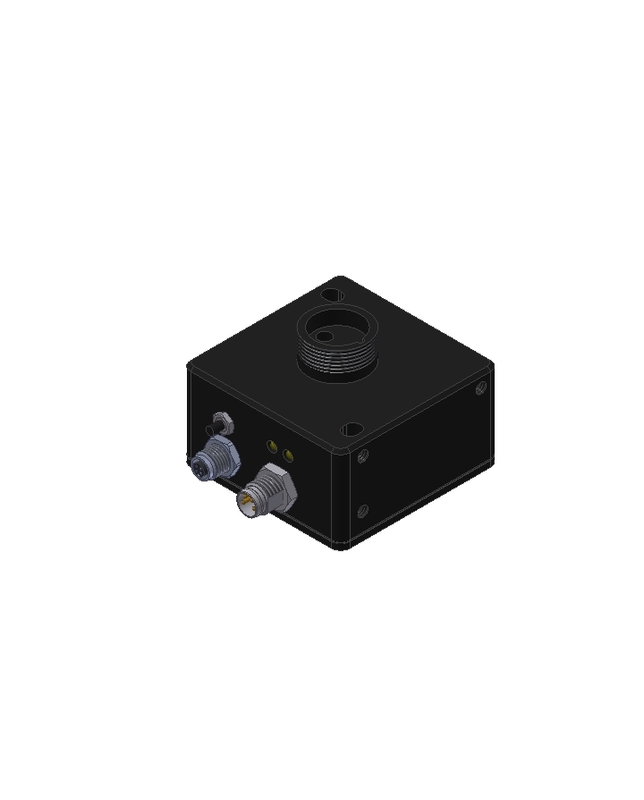 Thus, the direct reflection will be reduced to a minimum, due to the fact, that the angle of view of the receiver is reduced to a minimum. The DIF-type will be used, if the direct reflection has to be reduced to a minimum (e.g. 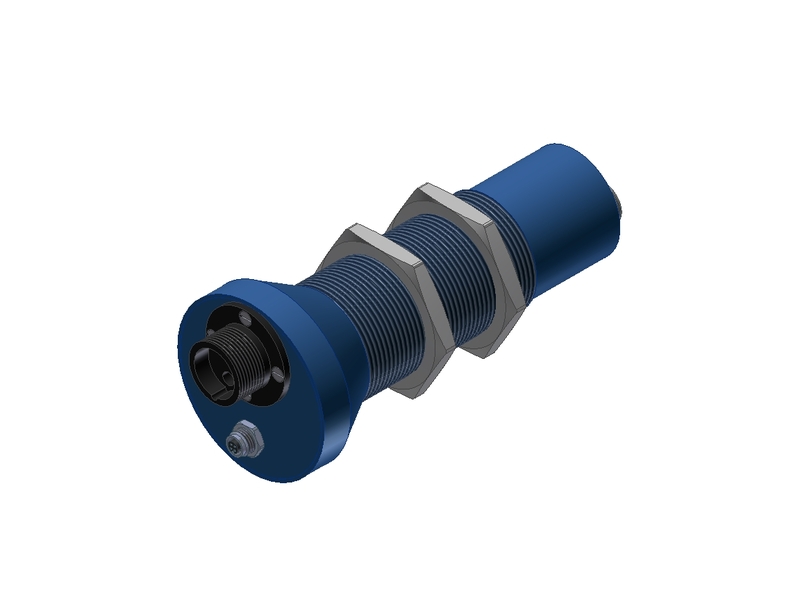 metal and plastic components with car finish, shiny metal parts, metal wires, shiny plastic parts). MSM stands for Color Measurement. 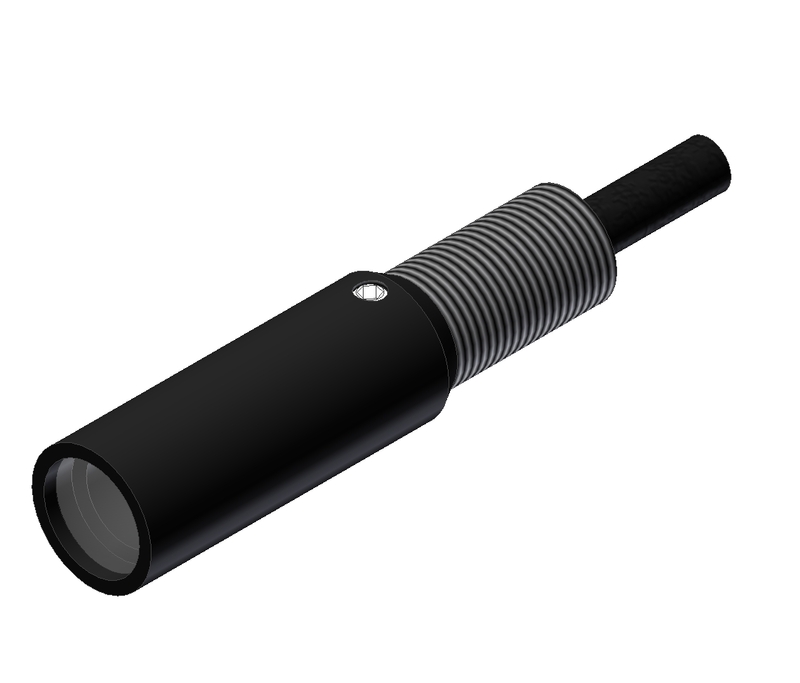 The -MSM types are the measuring color sensors of the SPECTRO-3 series. 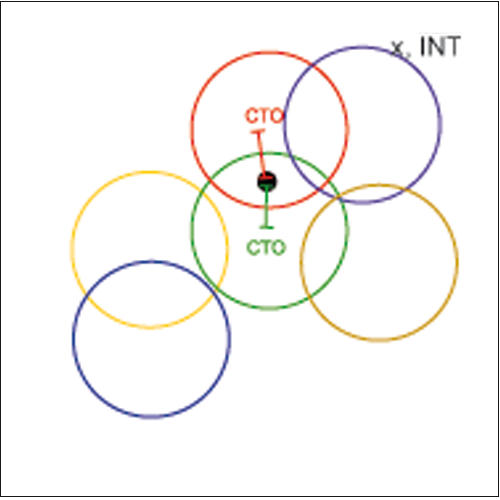 These types allow L*a*b* , L*u*v*, x,y,Y, X,Y,Z and L*C*h* color measurement. 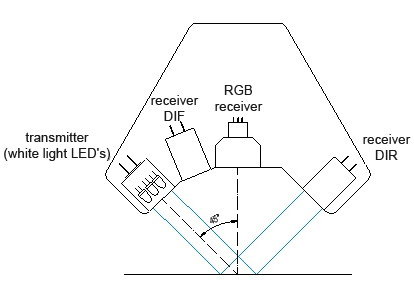 As with the -POL types these types also provide massive gloss suppression, but here direct reflection towards the receiver is prevented by the fact that LEDs that are arranged in ring shape emit light at 45° from the vertical, whereas the receiver is directed onto the surface to be inspected at 0° from the vertical. 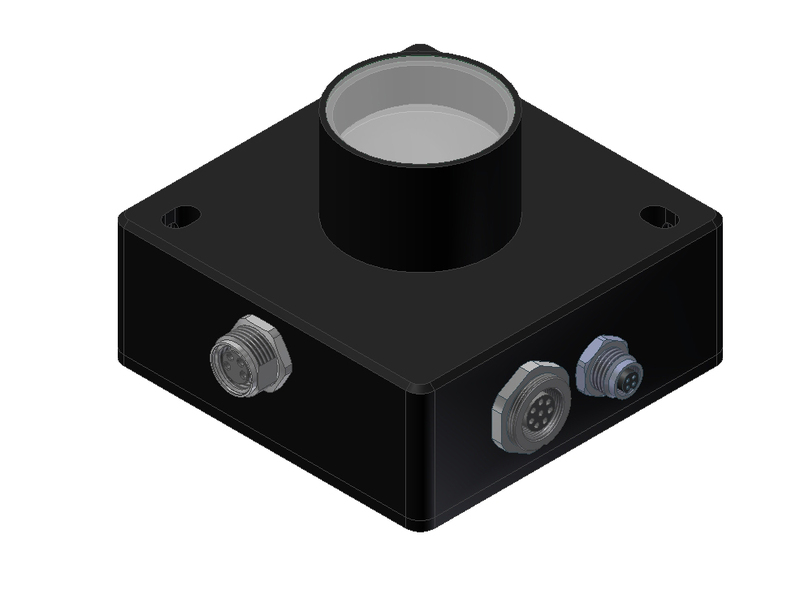 In the colour inspection and color measurement of flat objects that are arranged vertically with respect to the optical axis of the receiver, direct reflection in the direction of the receiver is prevented. These -45°/0° types primarily are used for high-gloss paints and metallic paints (car paint, furniture lacquer, etc.) because the -POL types rather are not suited for the inspection of metallic paint. Transparent film also can be inspected when a white tile is used that is positioned at the opposite side of the film. 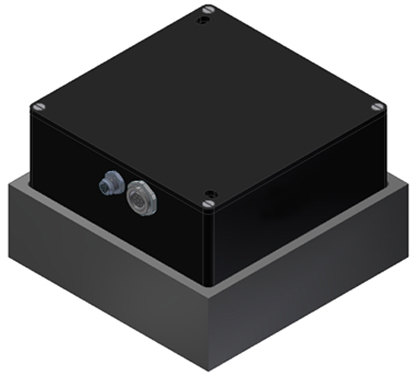 In the -SLU types the light unit is contained in a separate housing, which allows through-beam measurements and V-shaped arrangements (direct reflection). 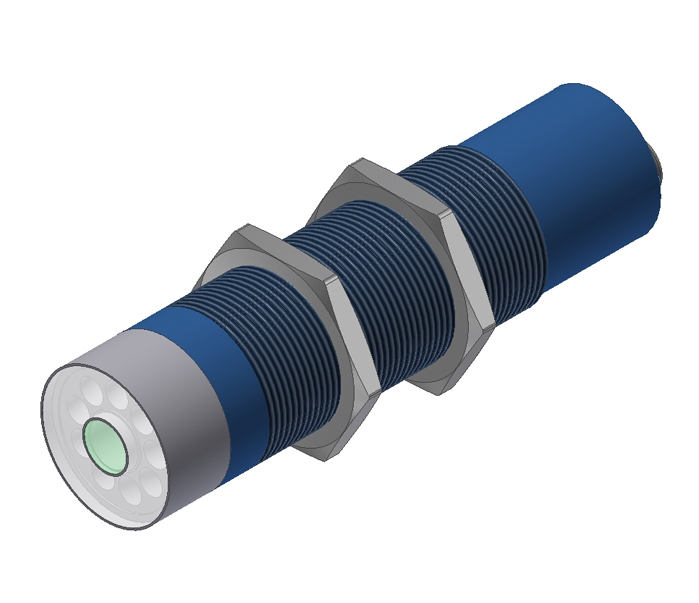 Both diffuse light sources and directed light sources are available. 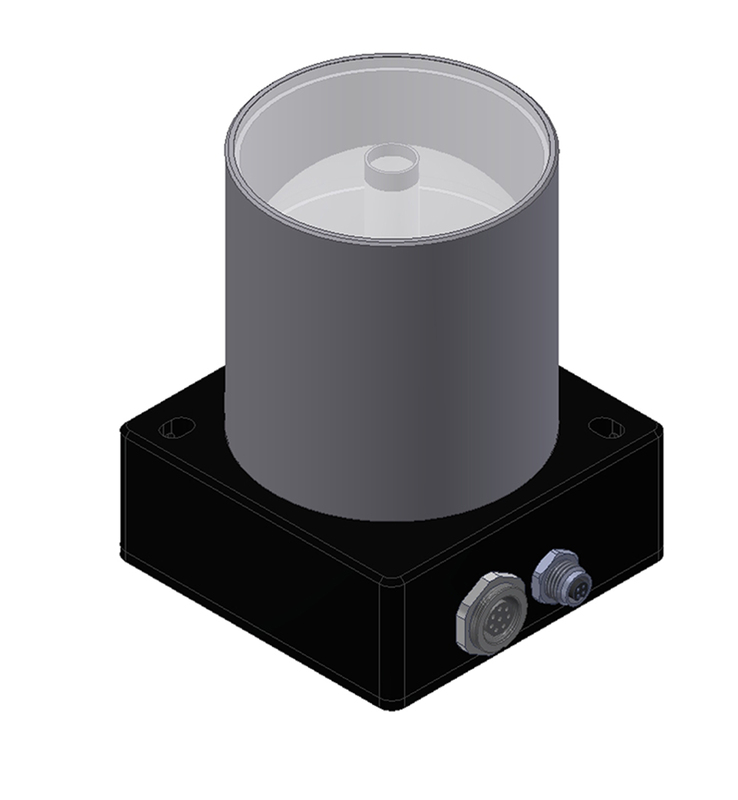 These types for example are ideal for measuring the color of flat glass in transmission or the coating of float glass in reflected-light mode. 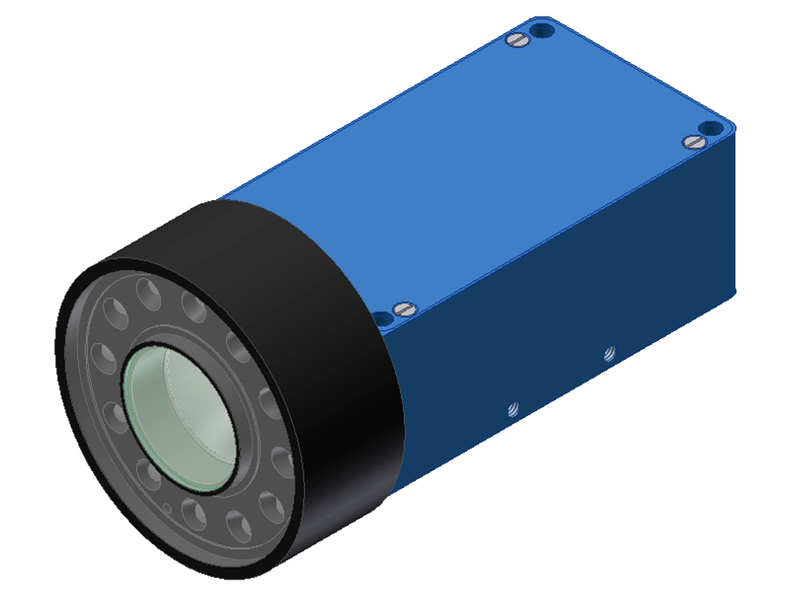 The -SLU receivers are available in a version with small aperture (-SA) and a version with a collecting lens positioned in front of the color detector (-BA). In case of rather weak signals the -BA type should be preferred. 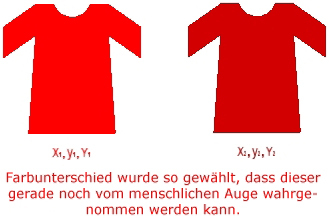 If, however, for example with direct reflection in V-shaped arrangement, only a small angle range should be considered, the -SA type should be used. 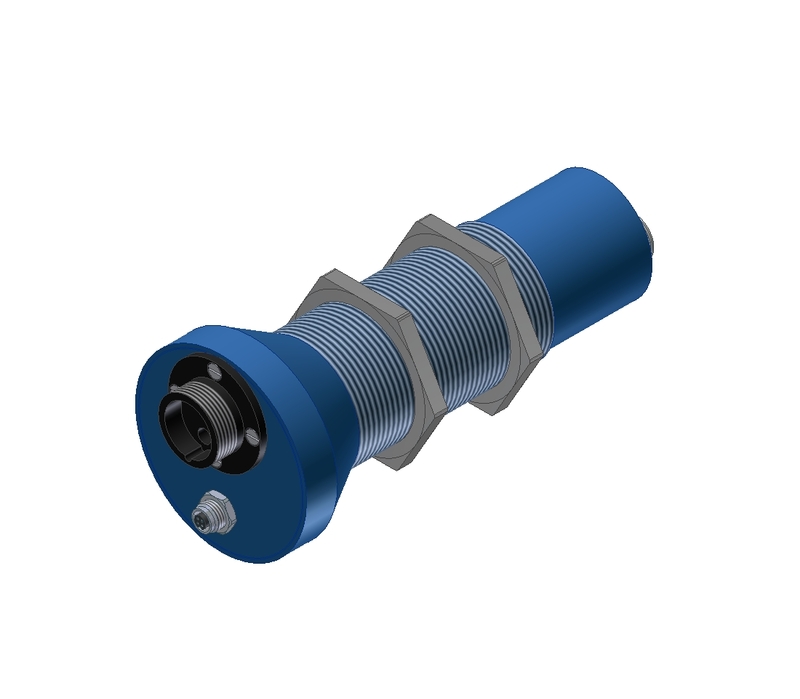 The -FIO-XL types work with fibre optics of a large fibre optic cross-section (5mm, 6mm and 8mm diameter), which means that systems with a fibre optics length of up to 15m can be realised. 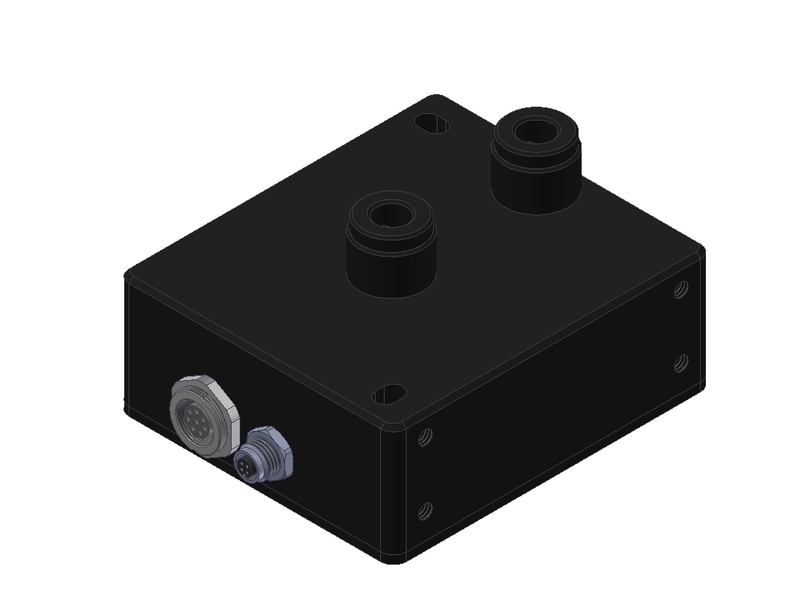 In addition to the SPECTRO-3 sensors with digital outputs there also is a series with analog outputs. 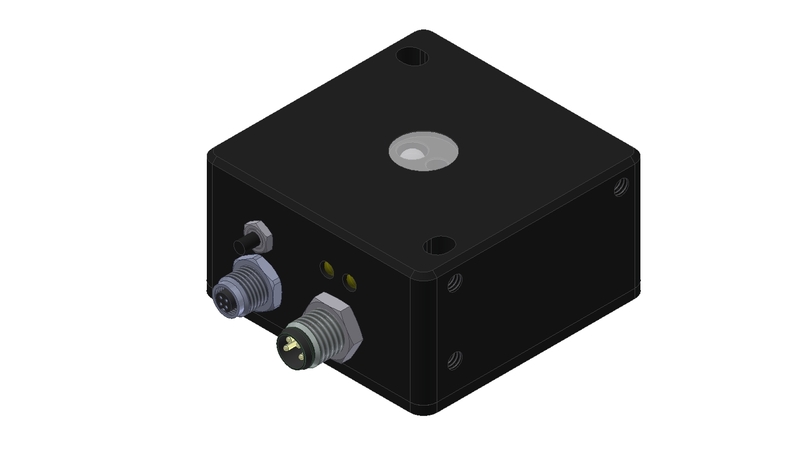 The three available analog outputs (0V … +10V) can be used to output both the color raw values R,G,B and the s,i,M, x,y,INT, L*a*b*, L*u*v*, X,Y,Z, x,y,Y und L*C*h* color values. 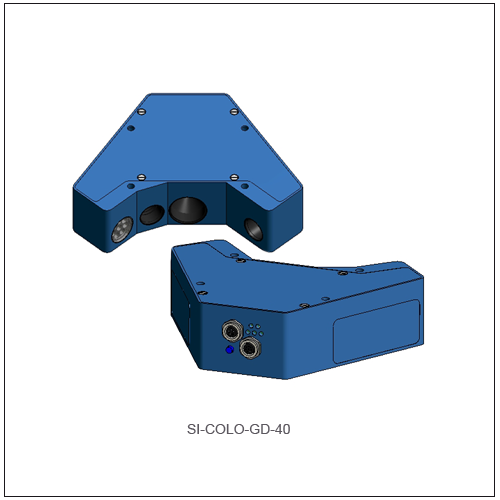 The SI-COLO-GD-40 color-gloss sensor essentially is a combination of a color sensor from the SI-COLO4 series with components of a gloss sensor from the RLS-GD series. 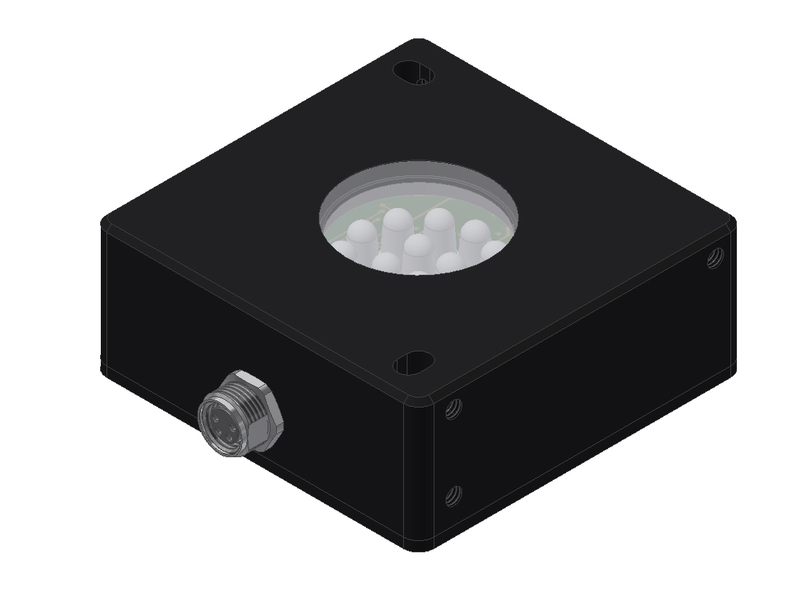 The sensor's light source comprises white-light LEDs with modulated light to achieve a better insensitivity to extraneous light. 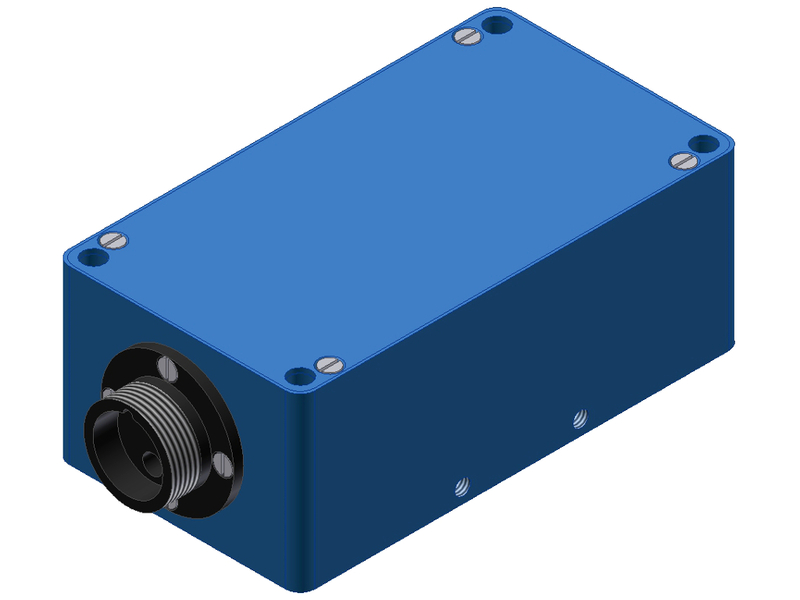 Apart from the color detector (R, G, B raw values), a detector for the directly reflected component (DIR) and a detector for the diffusely reflected component (DIF) also provide information to the controller that is integrated in the color-gloss sensor. 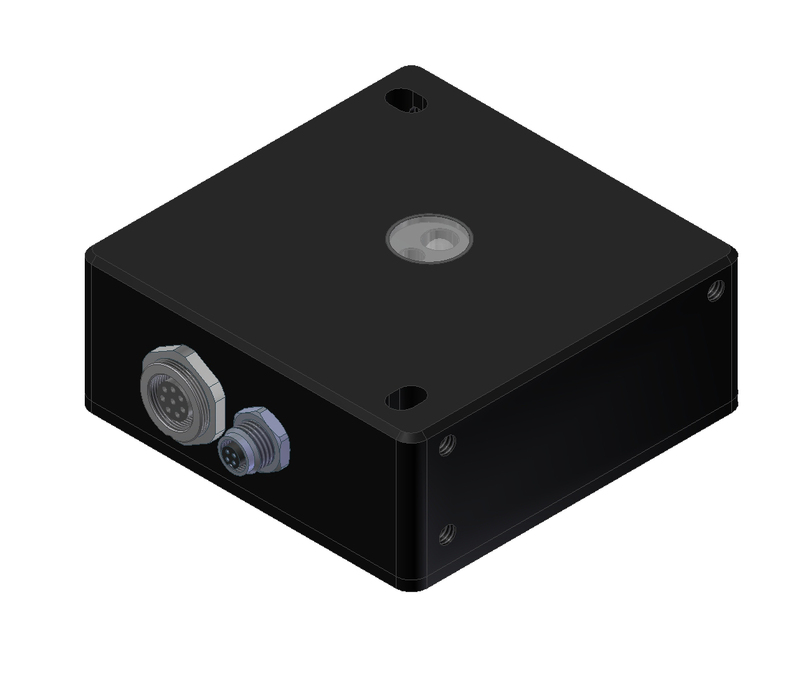 As an alternative the so-called s, i, M values also are available for the color sensors. 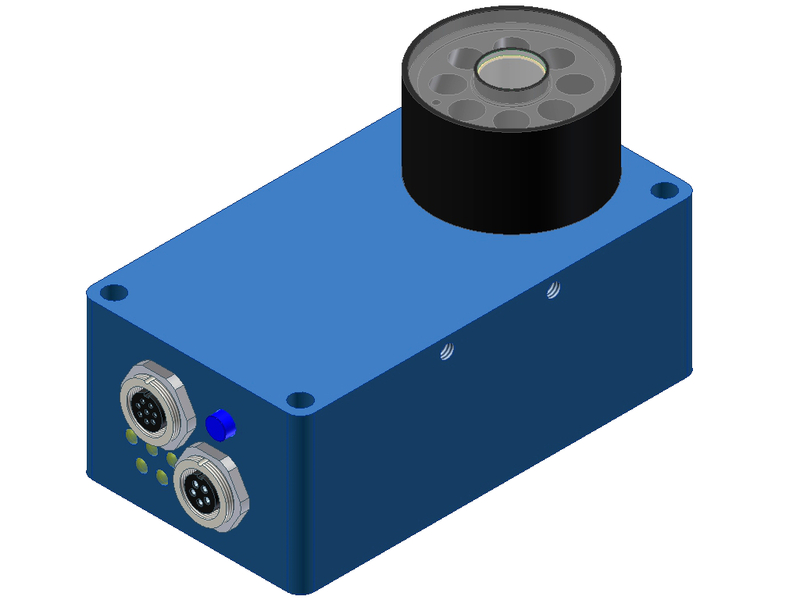 In addition to the raw data (R, G, B, DIR, DIF) the controller thus also can operate with the parameters x, y, INT, GN and s, i, M, GN. 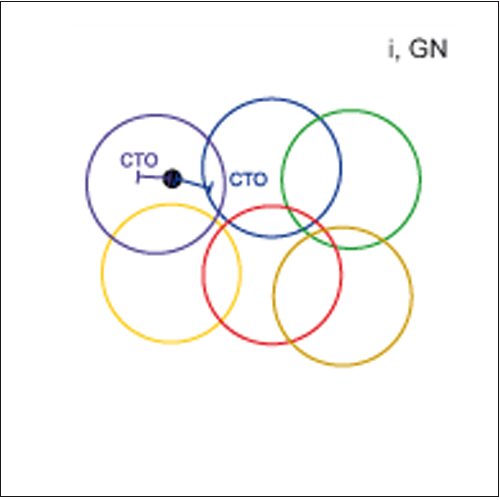 Whereas x, y, INT and s, i, M provide information about the color value, the GN value provides information about the gloss behaviour of the object. 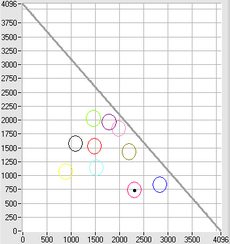 Teaching is performed as with the color sensors, only an additional parameter has been added: GN! 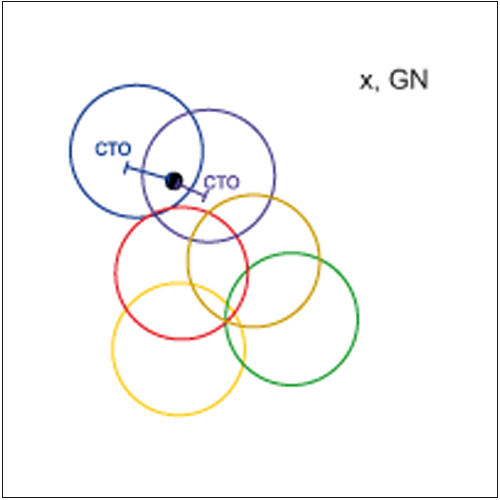 In evaluation mode x, y, INT GN and s, i, M GN the sensor first checks whether the current color-gloss value lies within the specified tolerance window of GN, i.e. GTO. 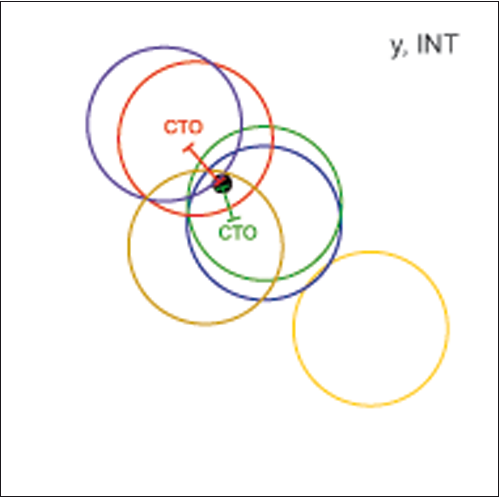 Then it checks whether the condition for the color value (within CTO) is true. 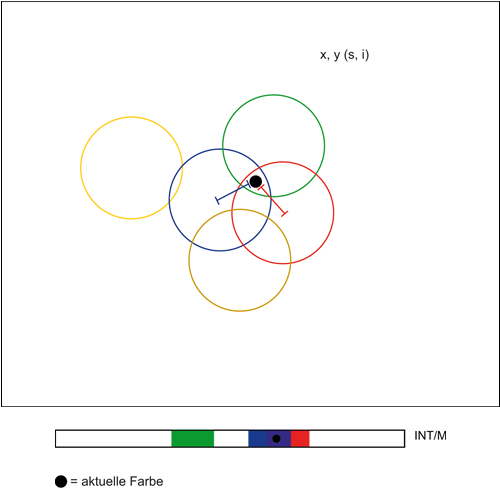 If several candidates are eligible, the selection is made according to the set selection mode (BEST HIT, FIRST HIT, MINIMAL DISTANCE, see COLOR CONTROL). 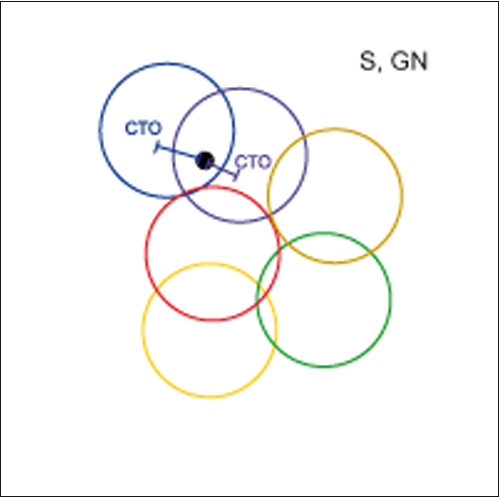 In evaluation mode x, y, INT, GN and s, i, M, GN, on the other hand, the sensor performs color/gloss selection in a "four-dimensional space", the tolerance CGTO creates a four-dimensional structure. 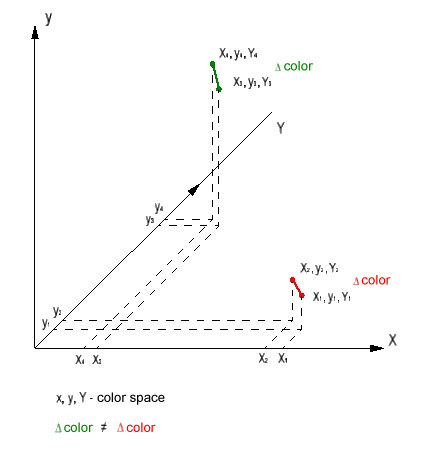 The current color-gloss value must lie within the tolerance range if the taught color-gloss value should be eligible as a possible candidate. 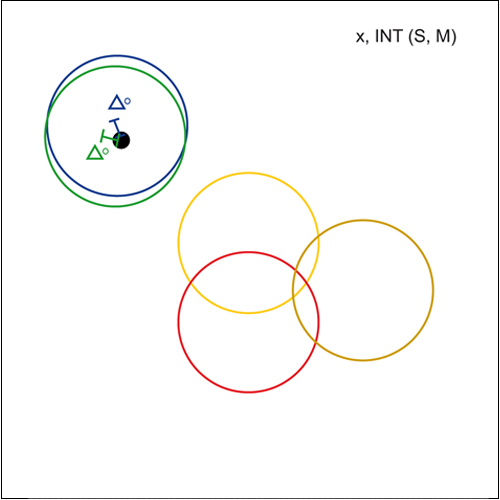 The x, y, INT and s, i, M values are shown in 3 views. 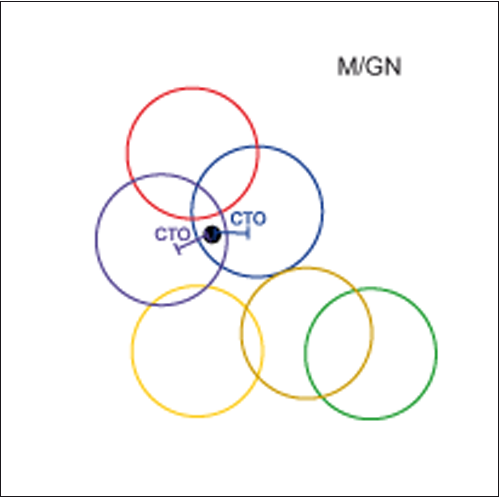 The GN value is represented as a bar display. 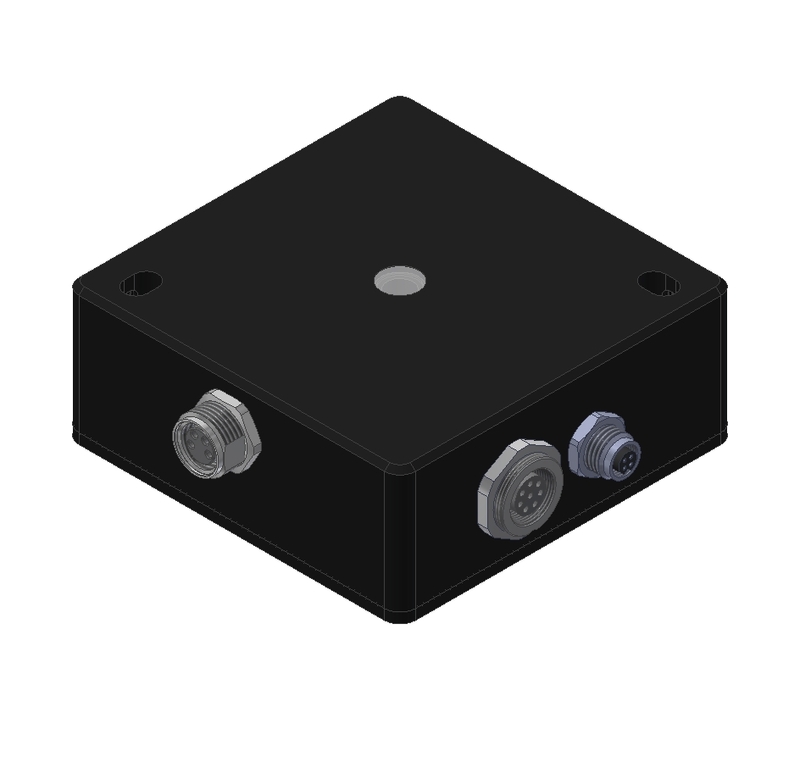 The color-gloss sensor type SPECTRO-3-50-FCL-30°/30° comes with two lightning sources which will be used alternately dependent of the IN0-signal level. The sensor is used for objects with very small color as well as gloss differences, e.g. 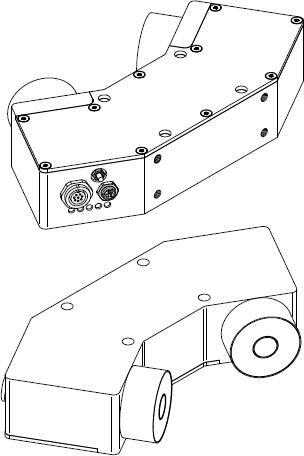 leather imitations, leather and plastic components for the automotive interior field but also for differentiation of plastic films and plastic laminations for the furniture industry.